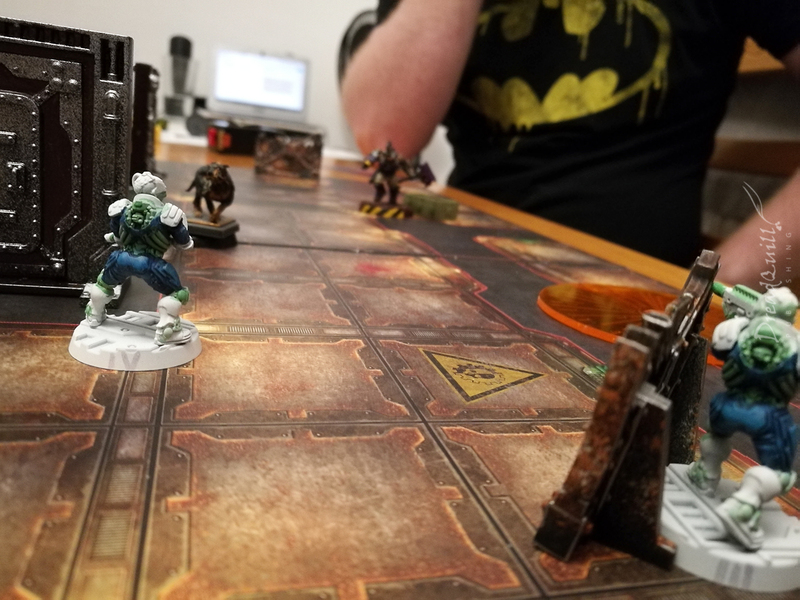 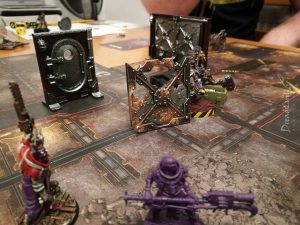 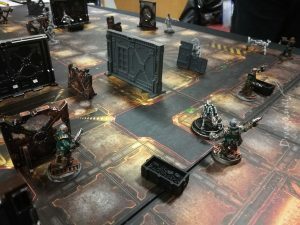 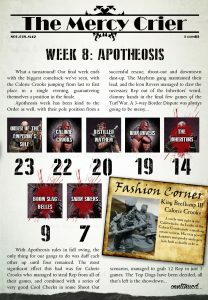 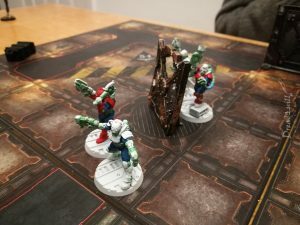 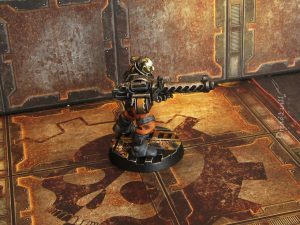 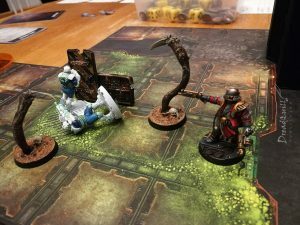 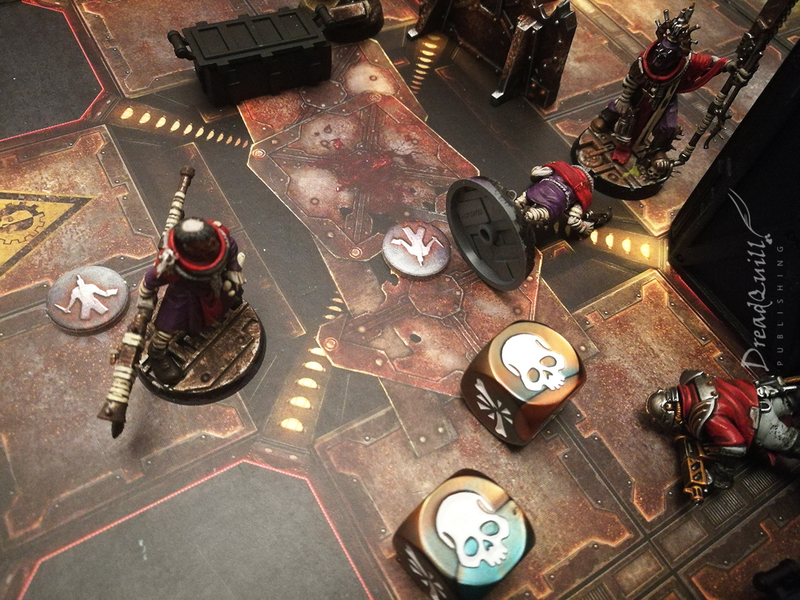 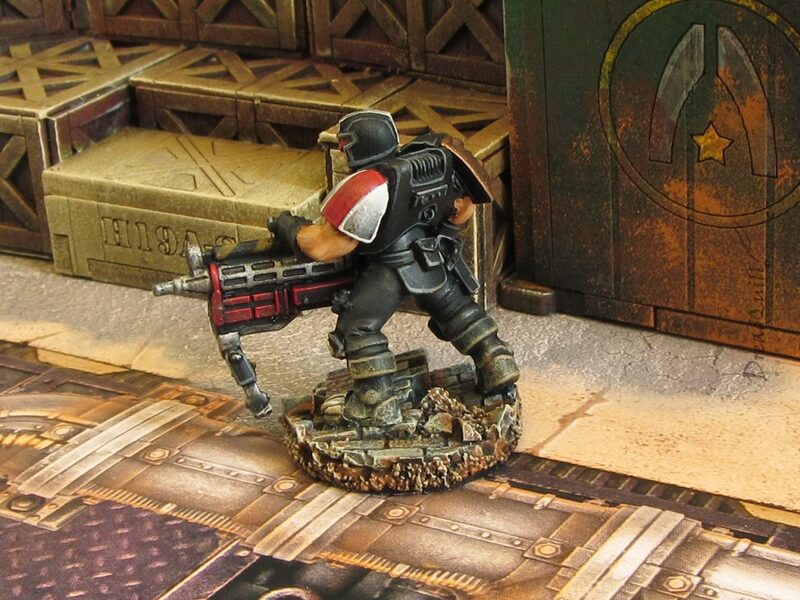 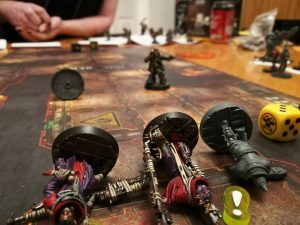 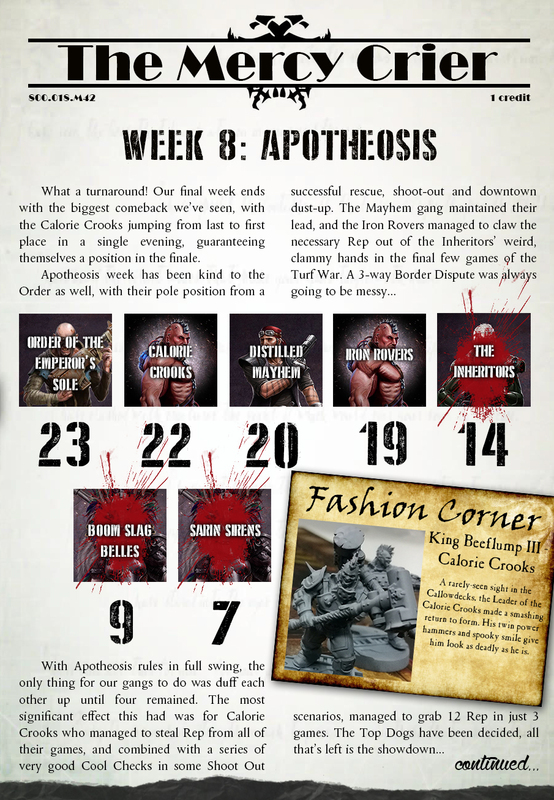 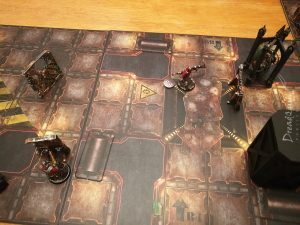 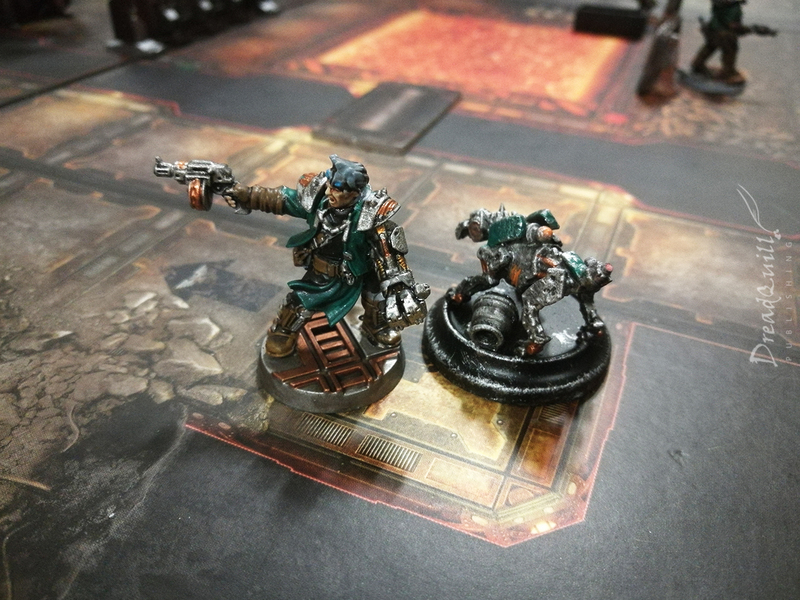 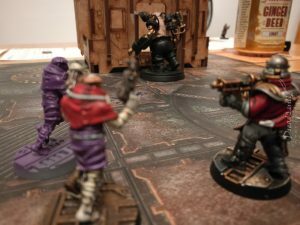 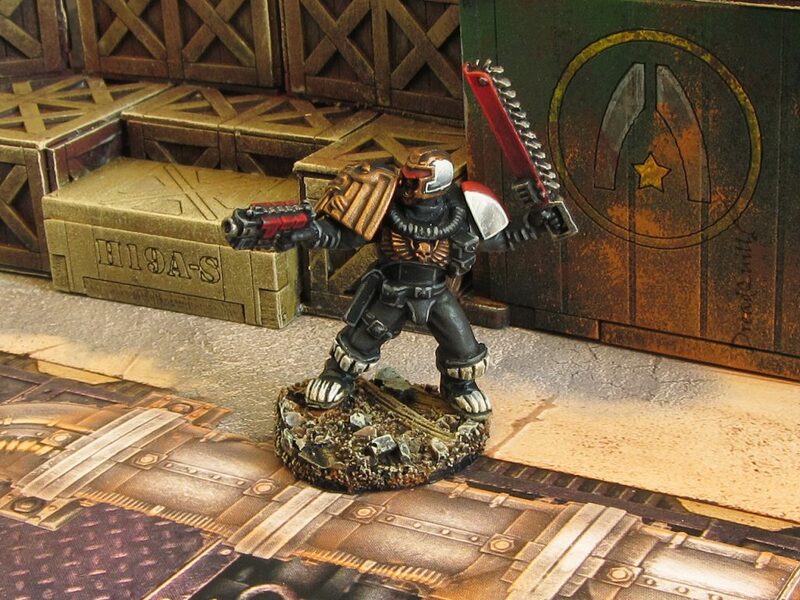 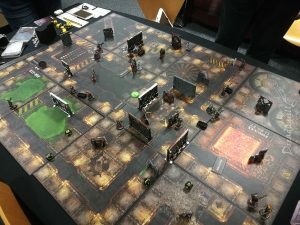 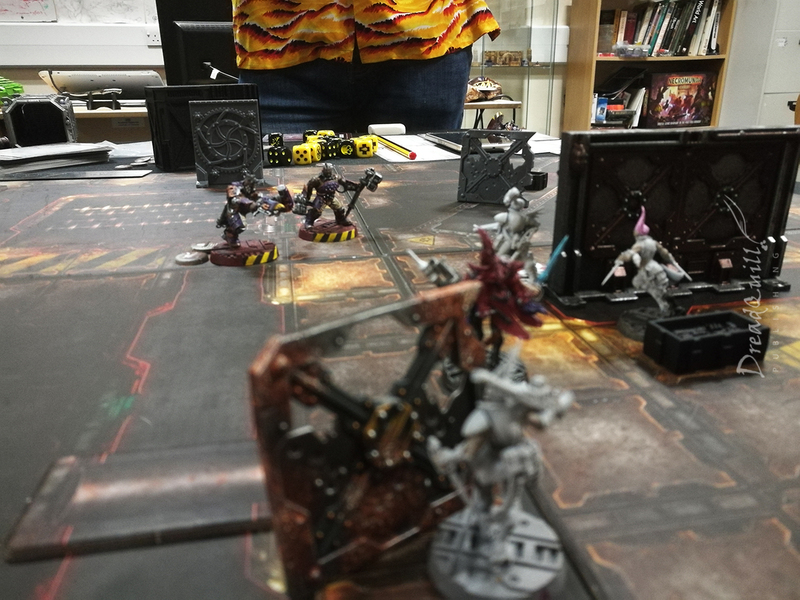 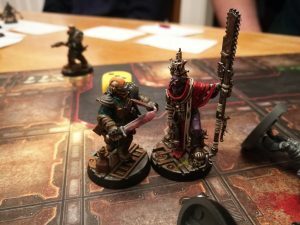 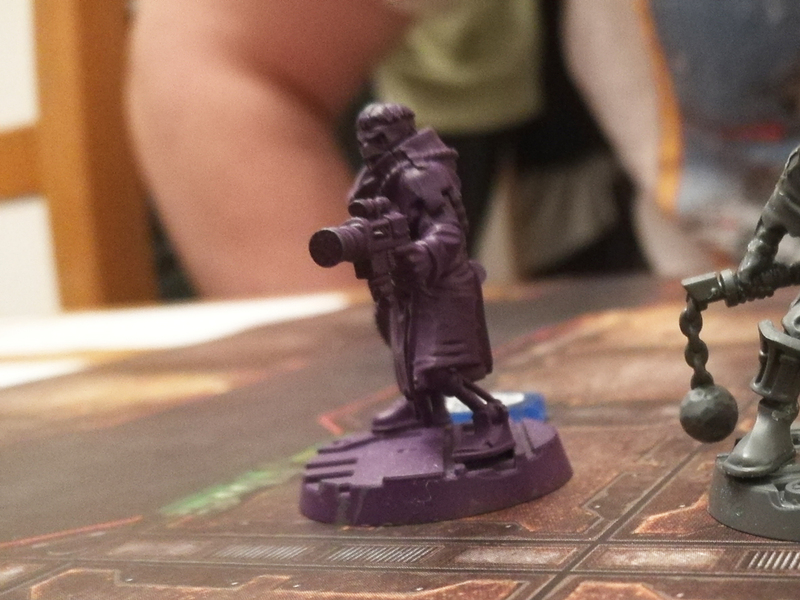 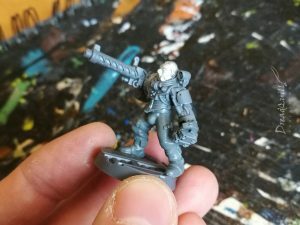 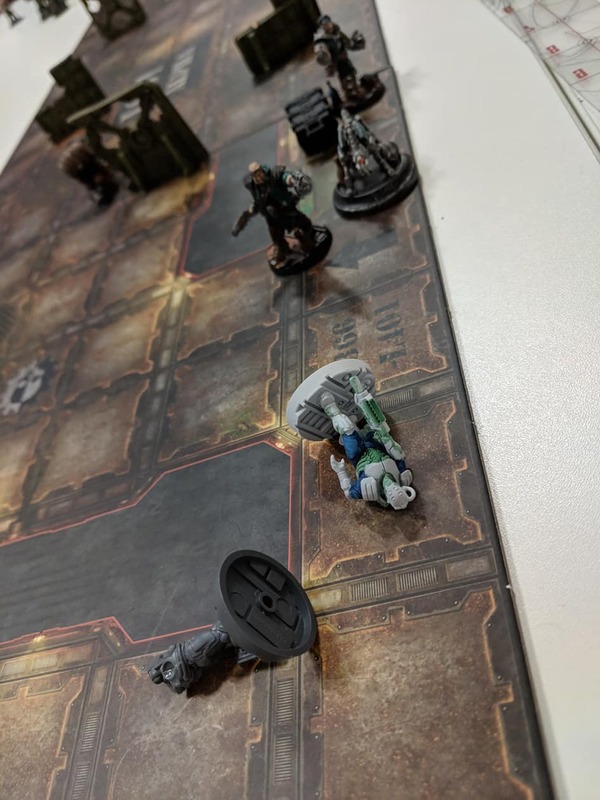 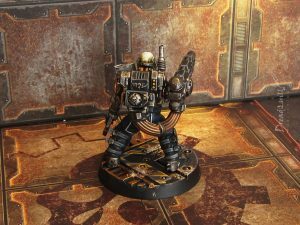 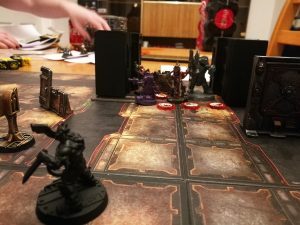 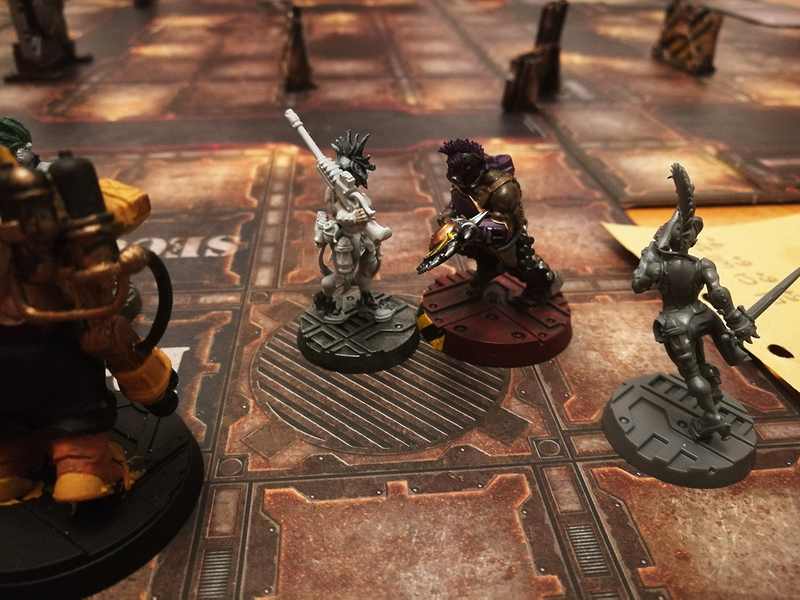 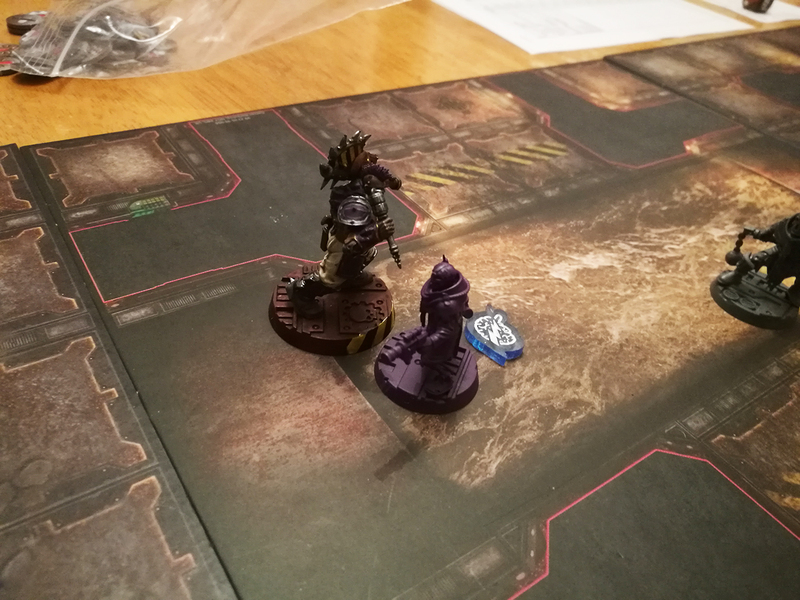 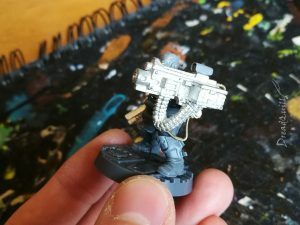 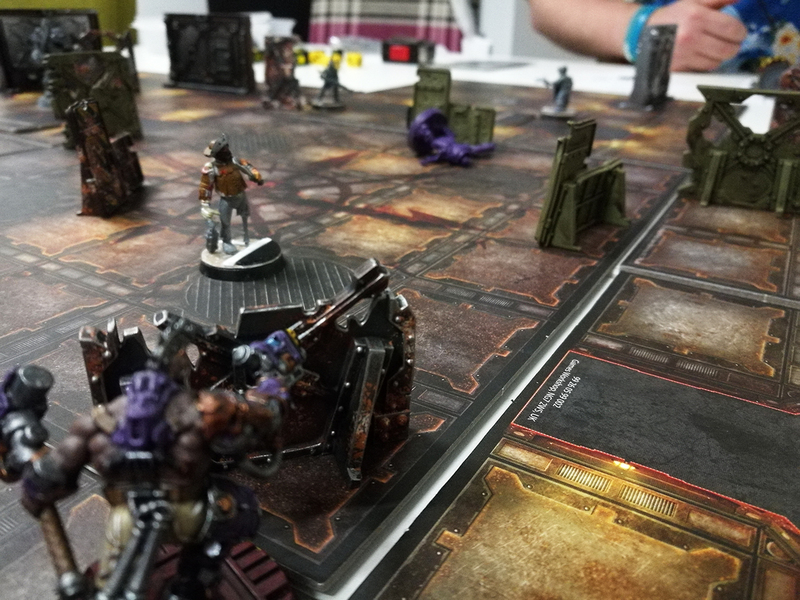 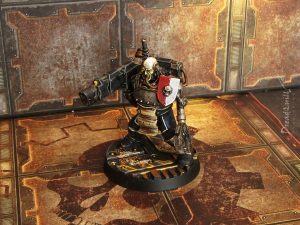 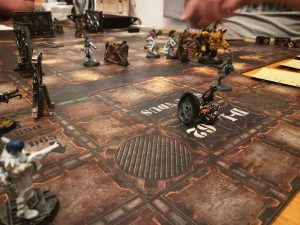 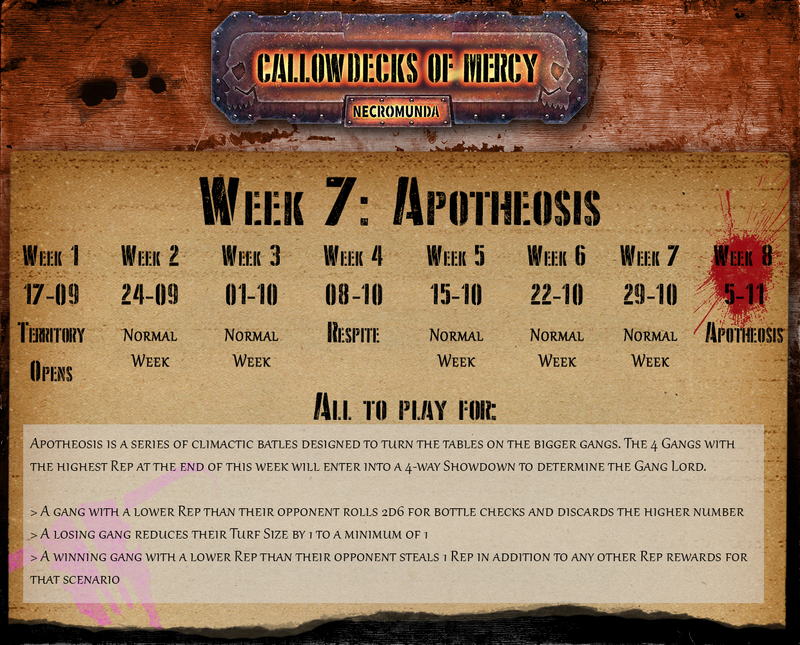 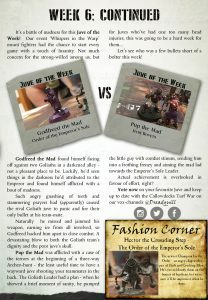 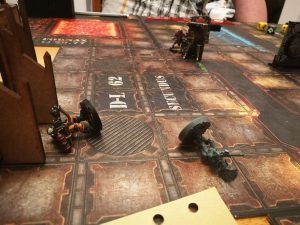 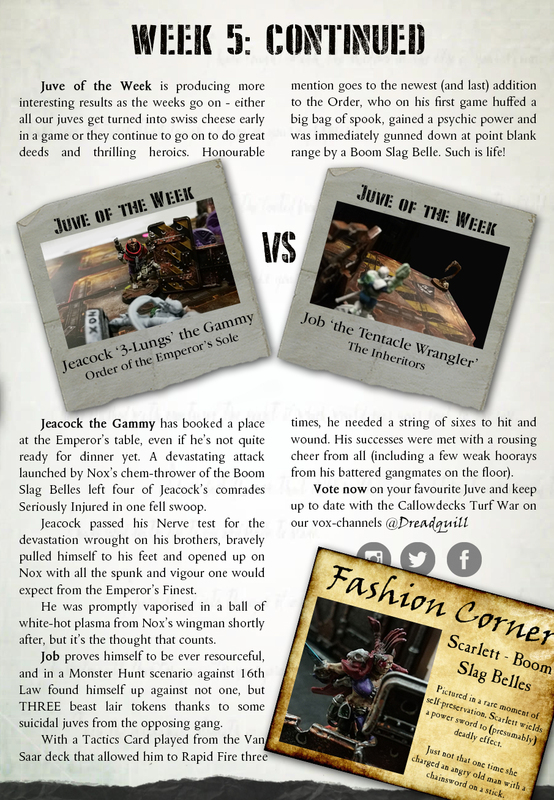 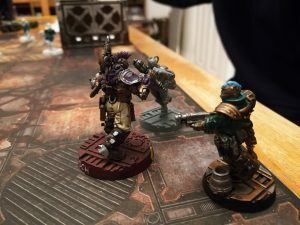 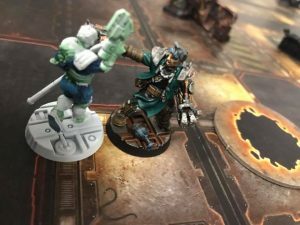 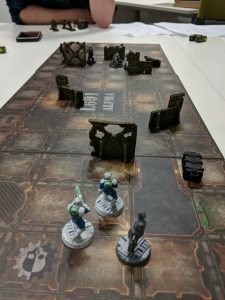 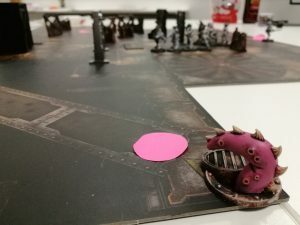 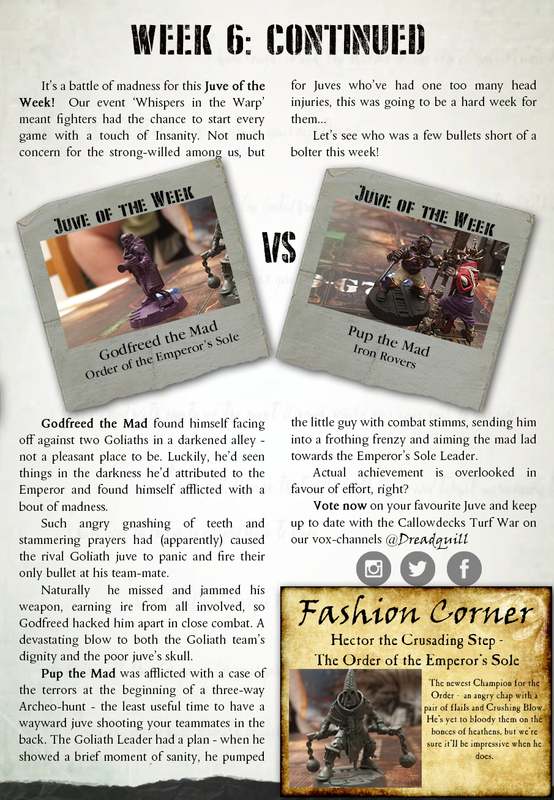 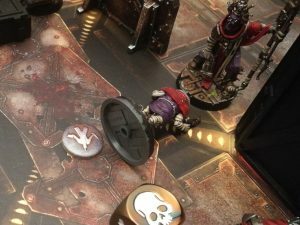 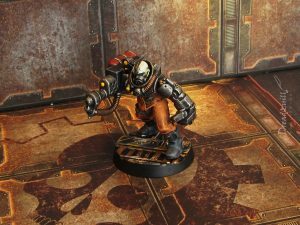 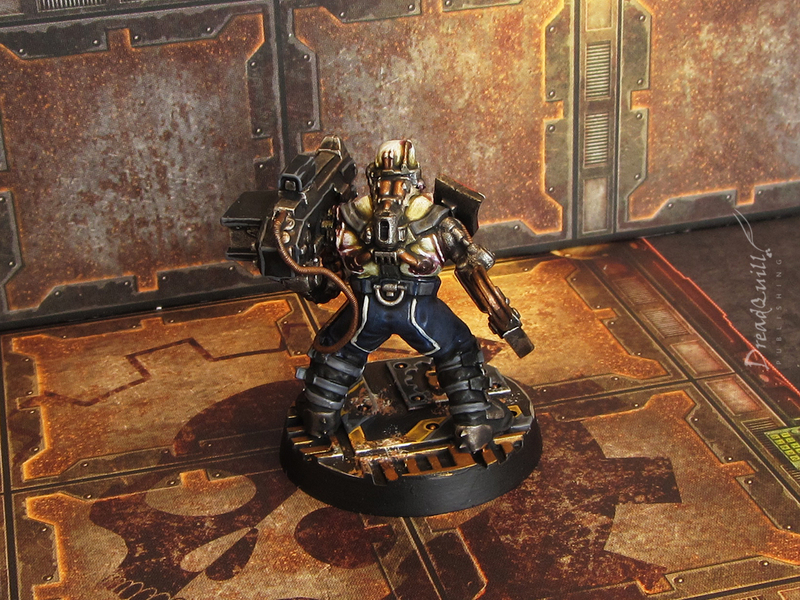 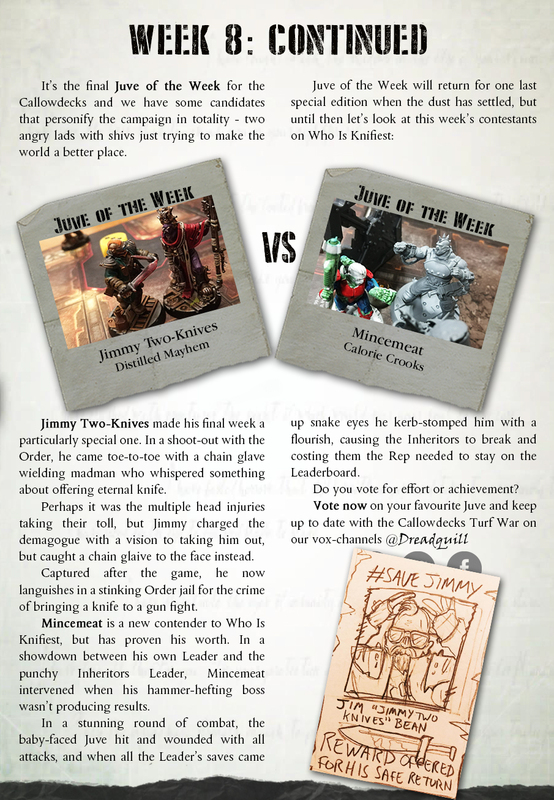 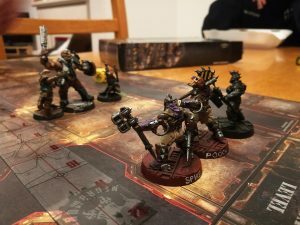 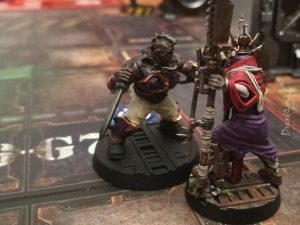 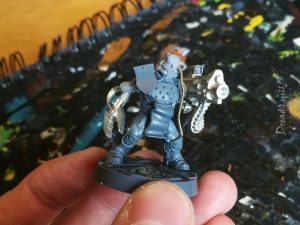 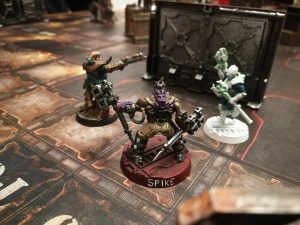 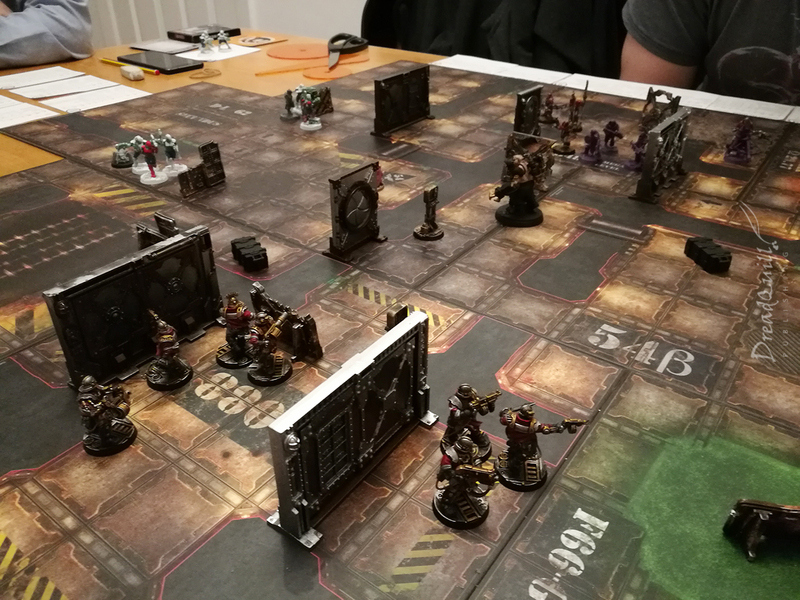 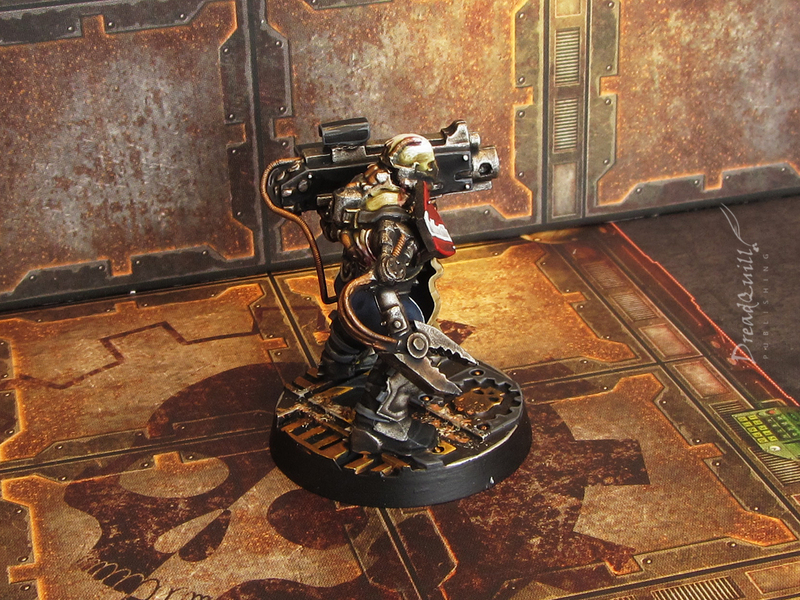 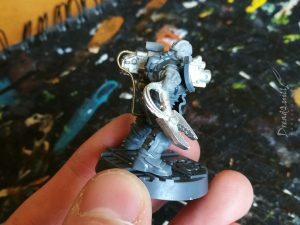 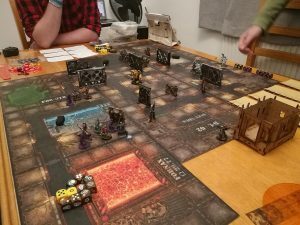 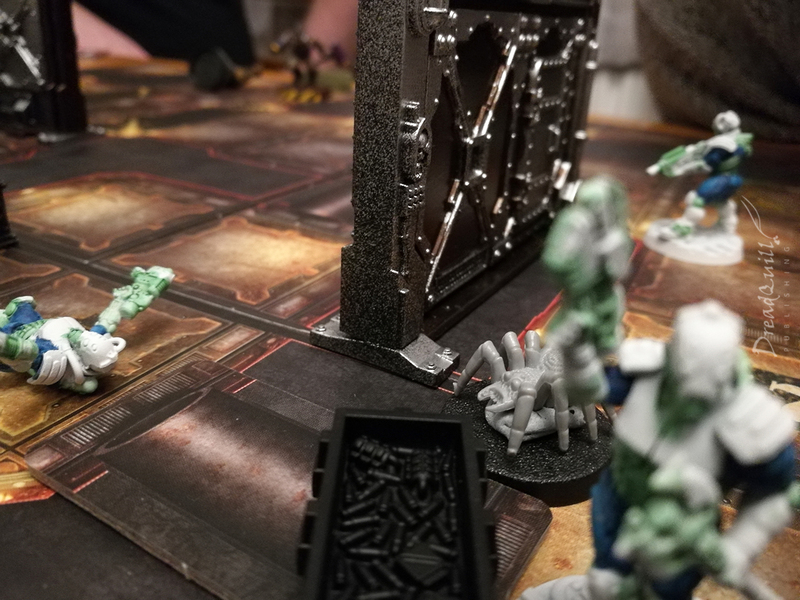 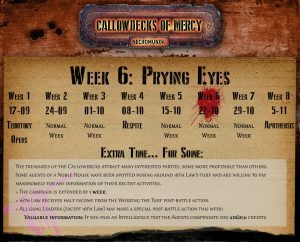 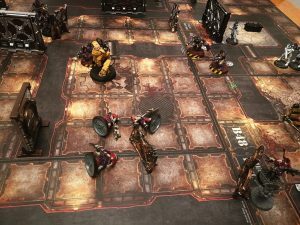 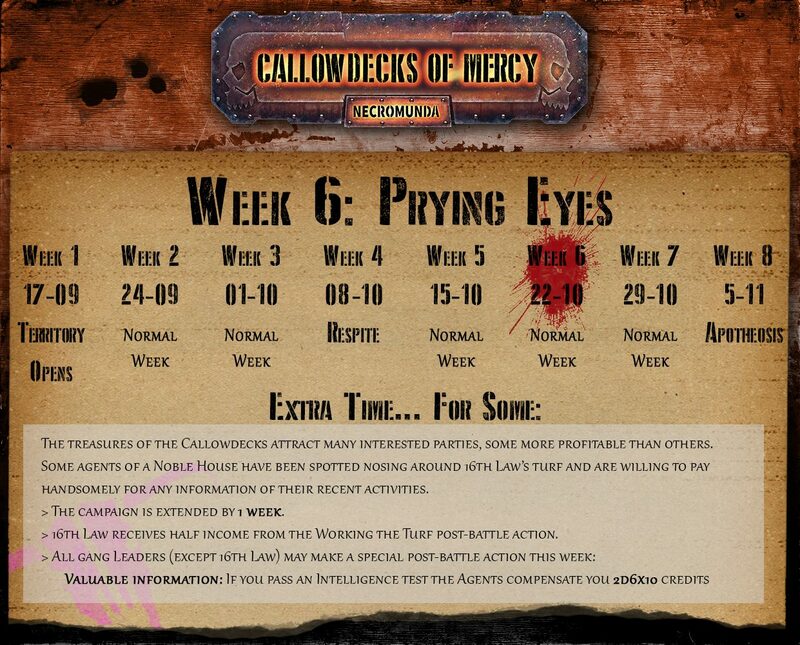 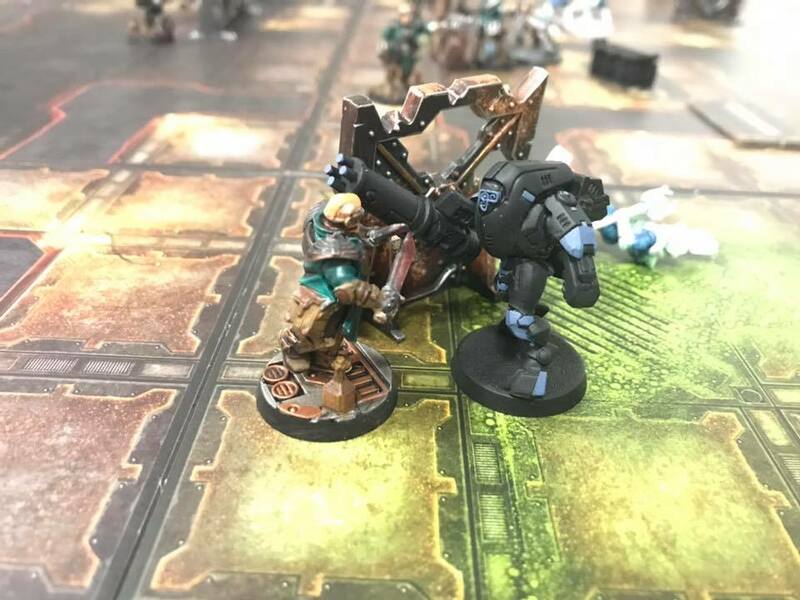 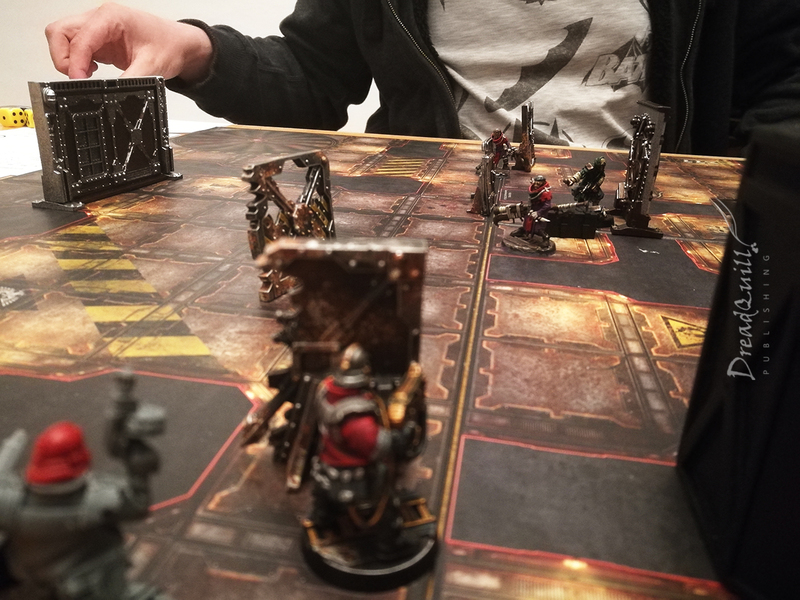 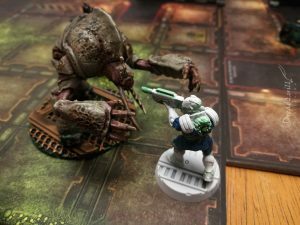 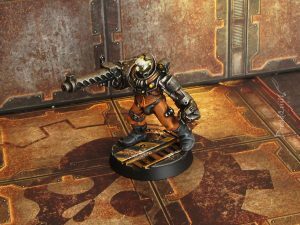 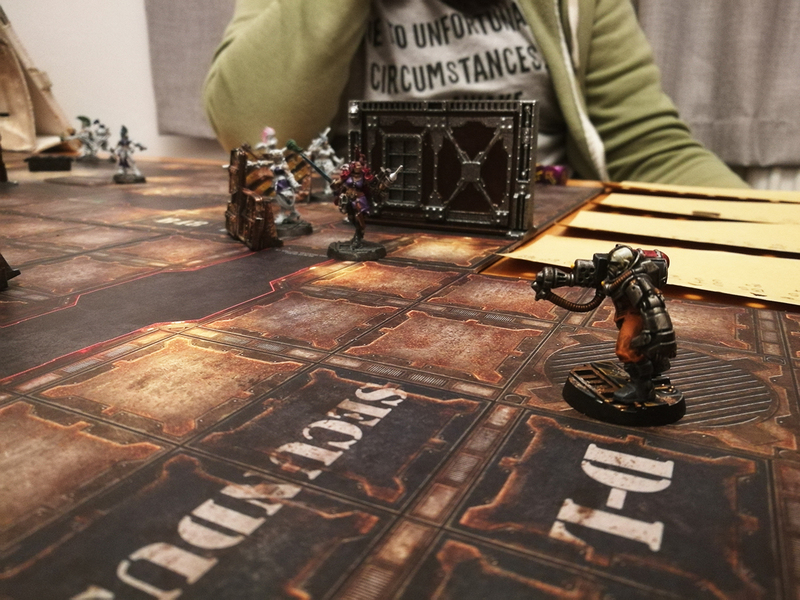 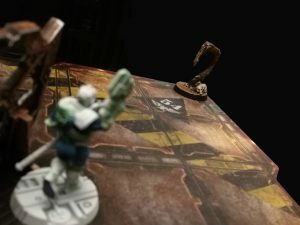 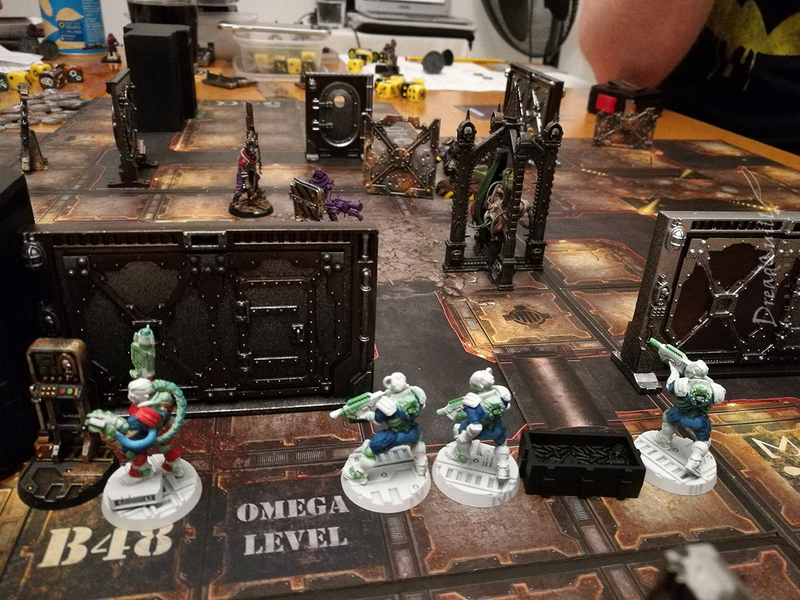 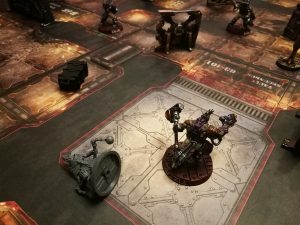 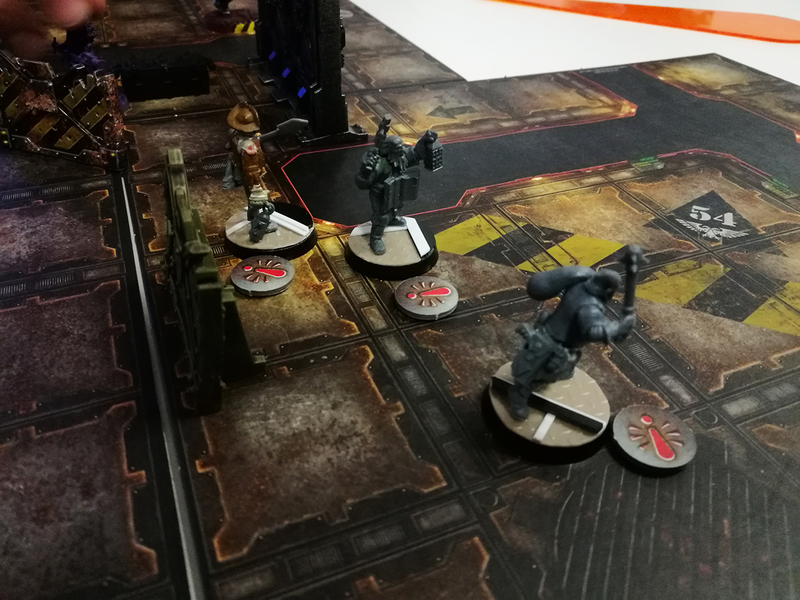 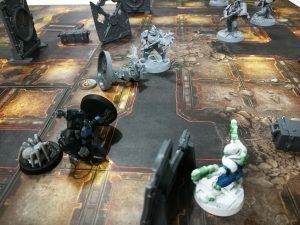 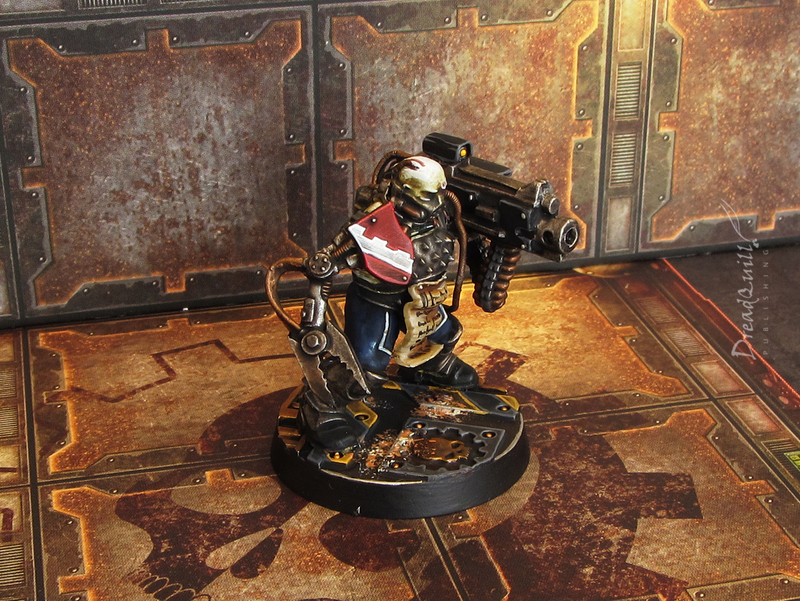 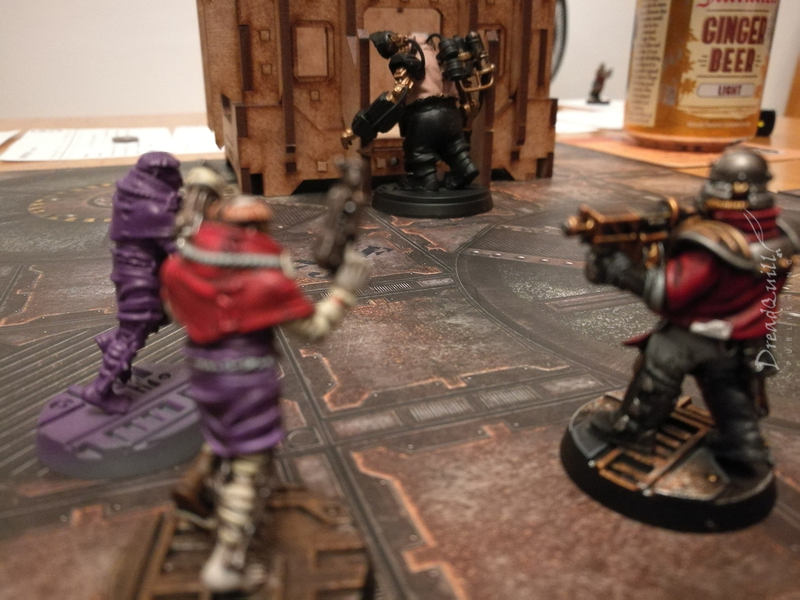 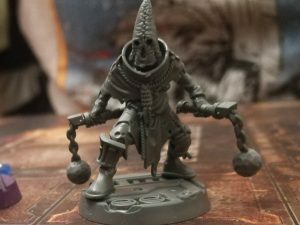 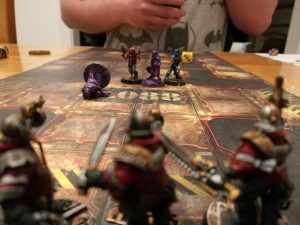 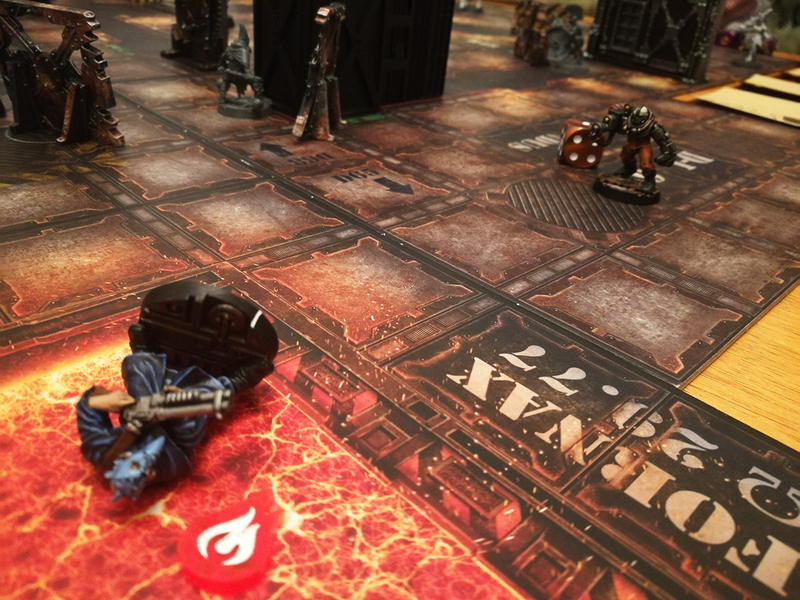 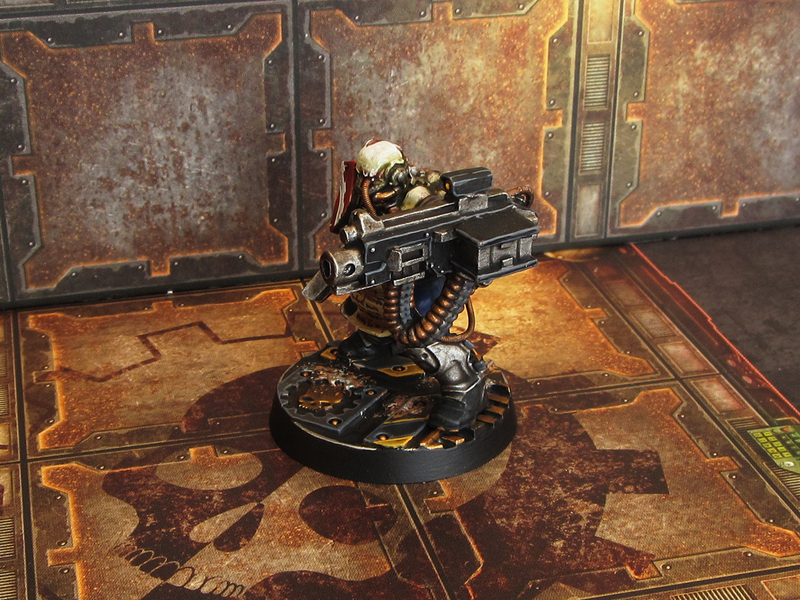 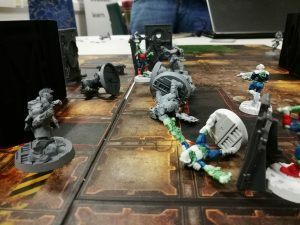 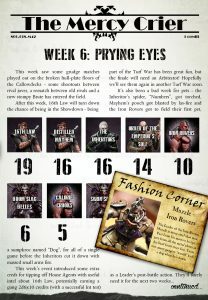 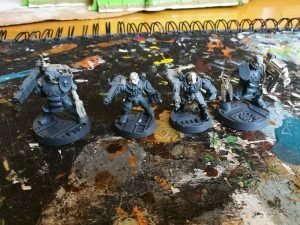 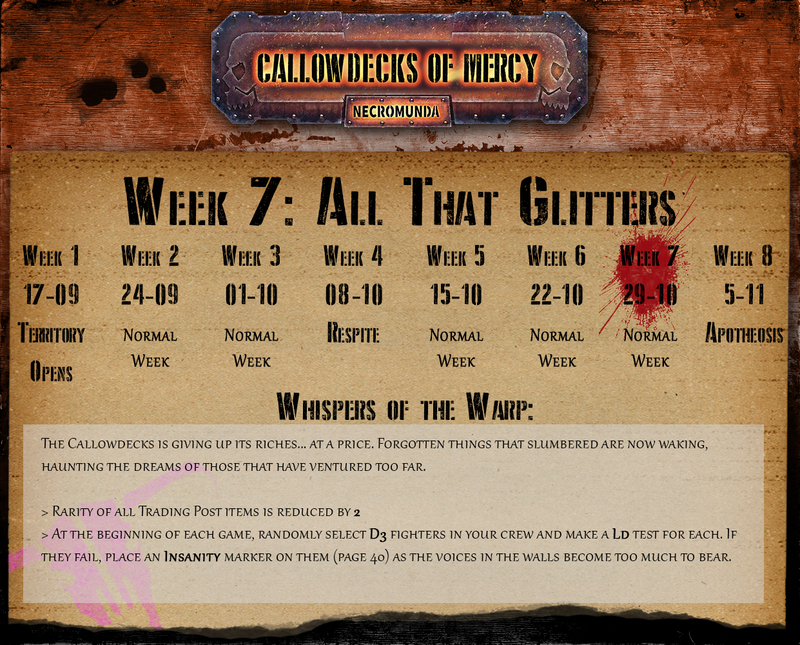 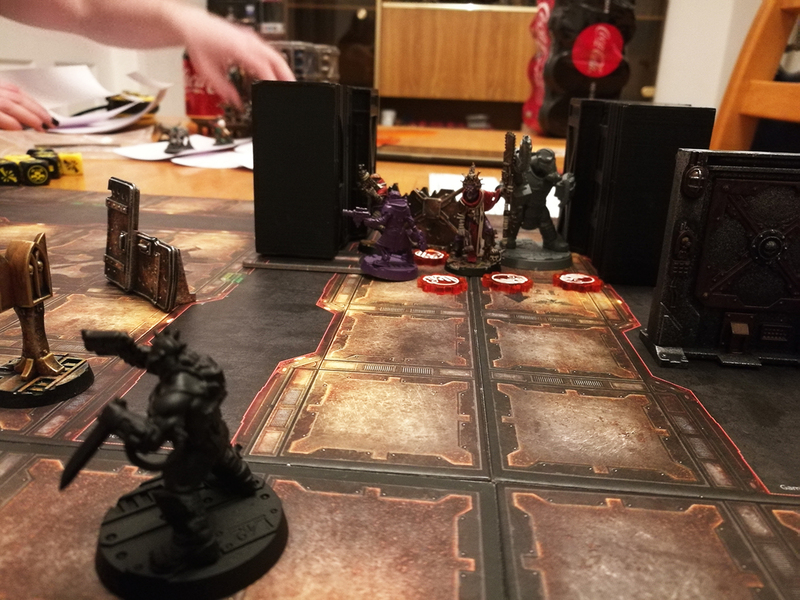 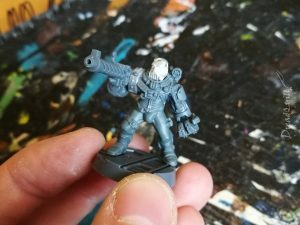 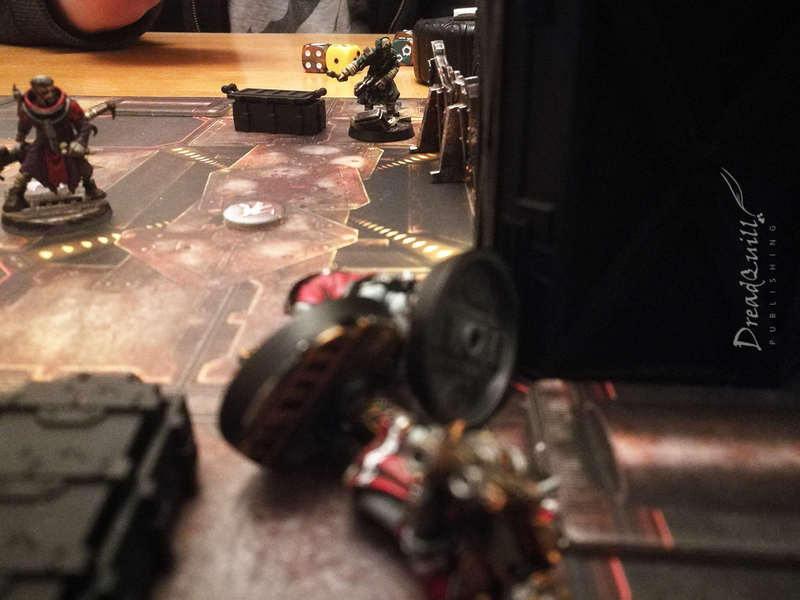 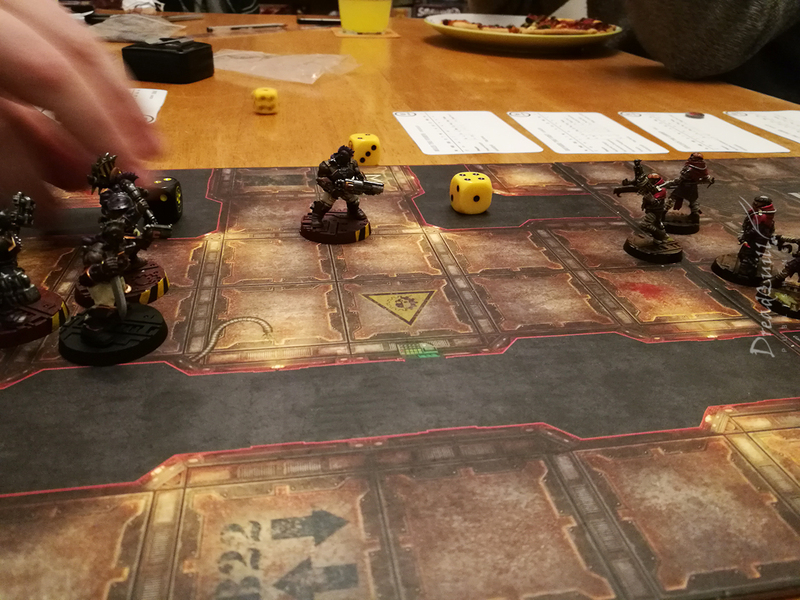 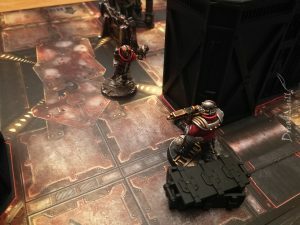 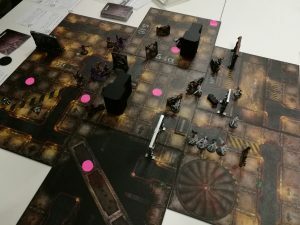 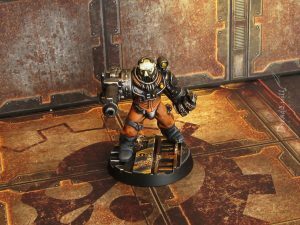 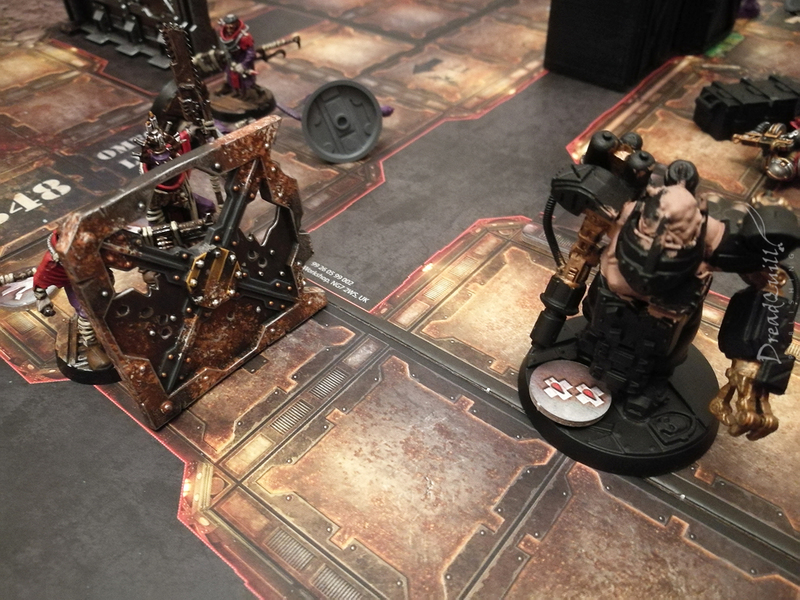 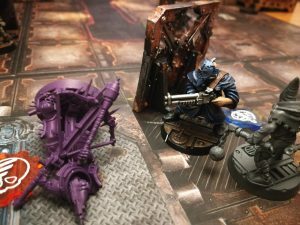 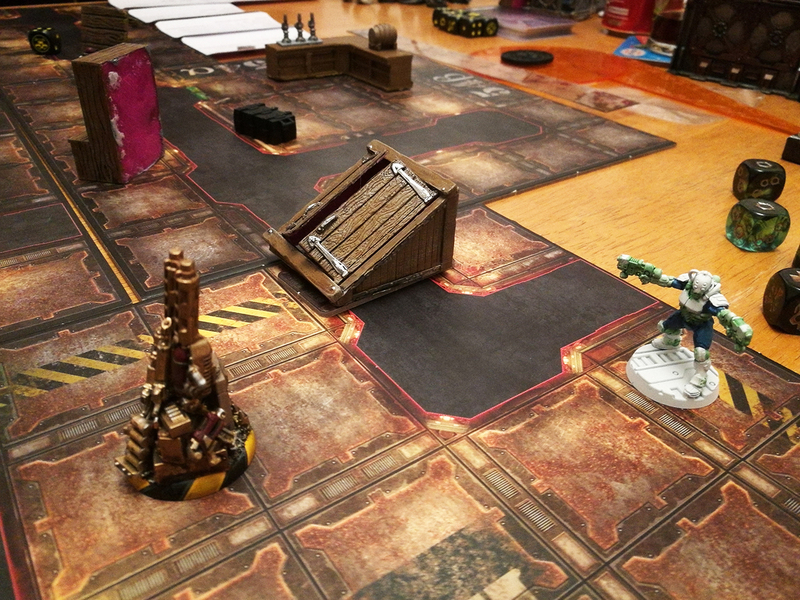 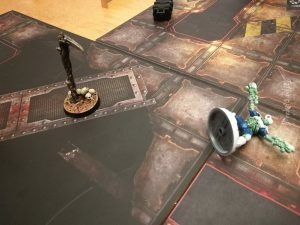 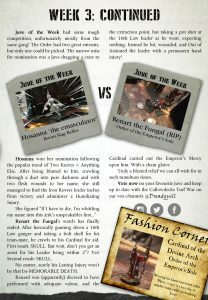 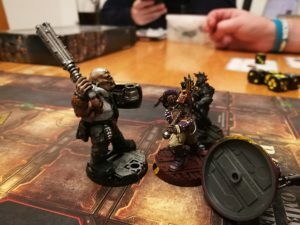 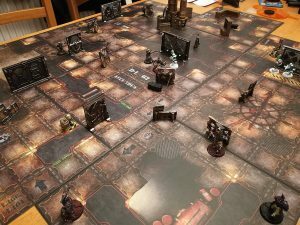 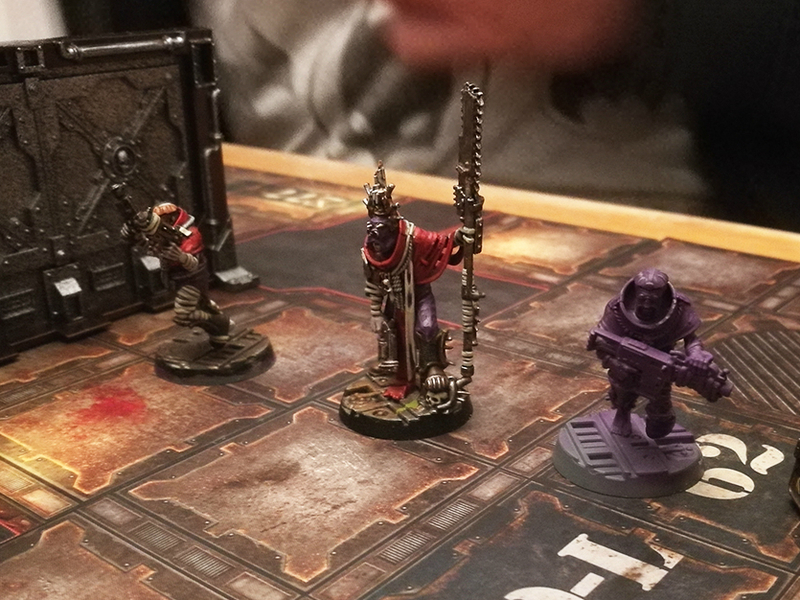 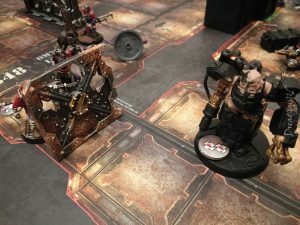 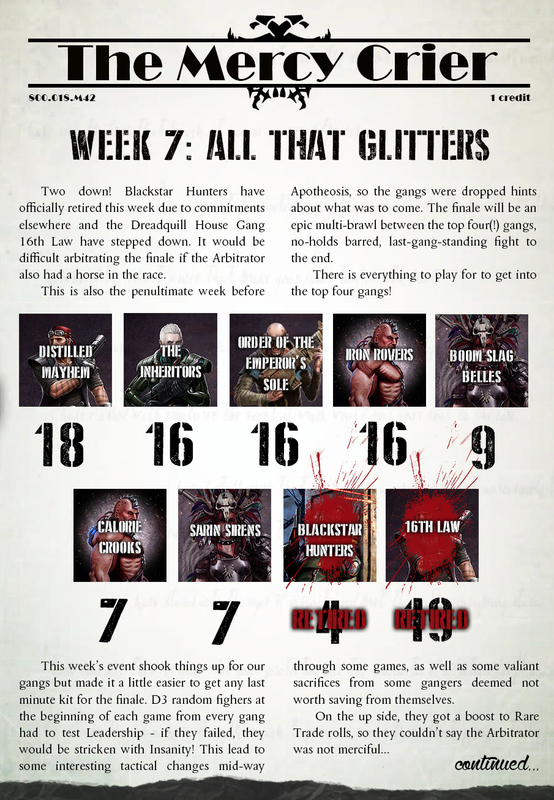 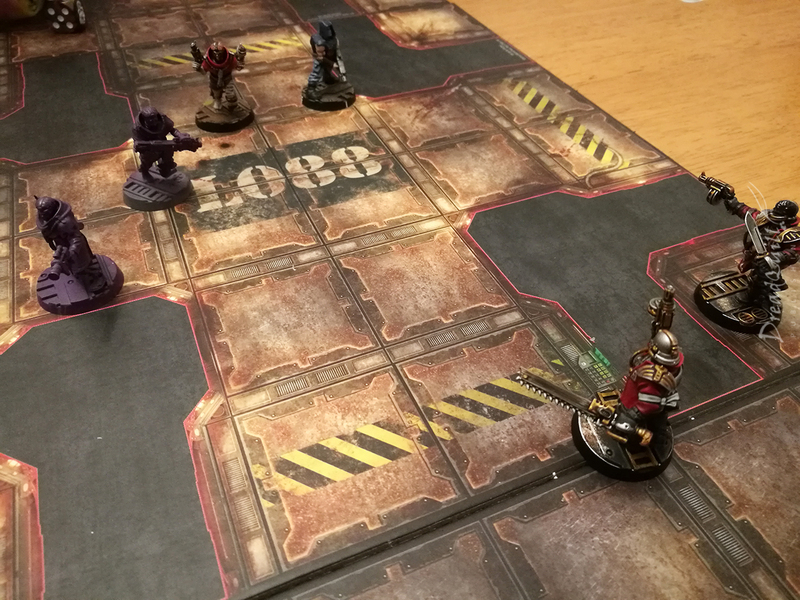 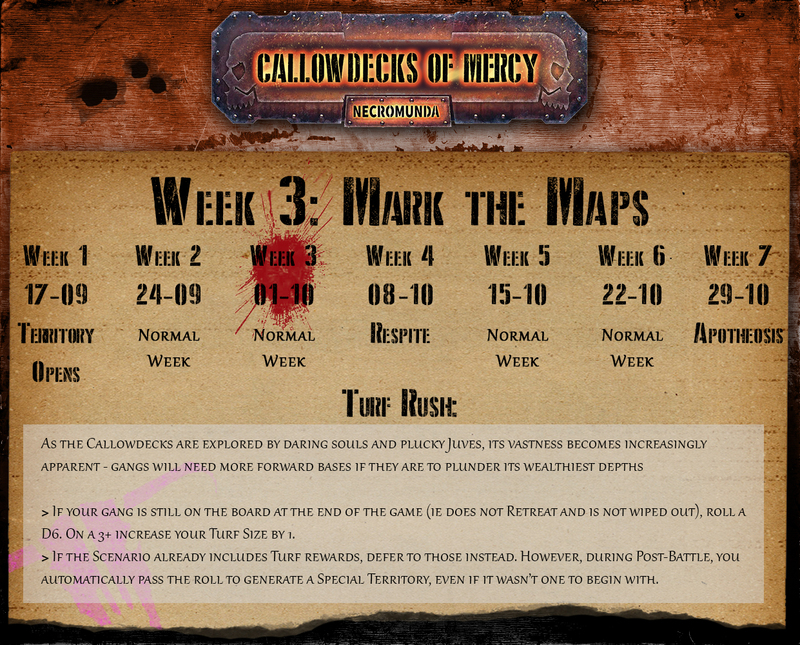 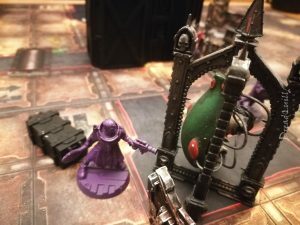 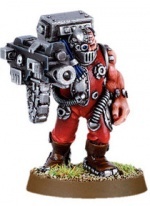 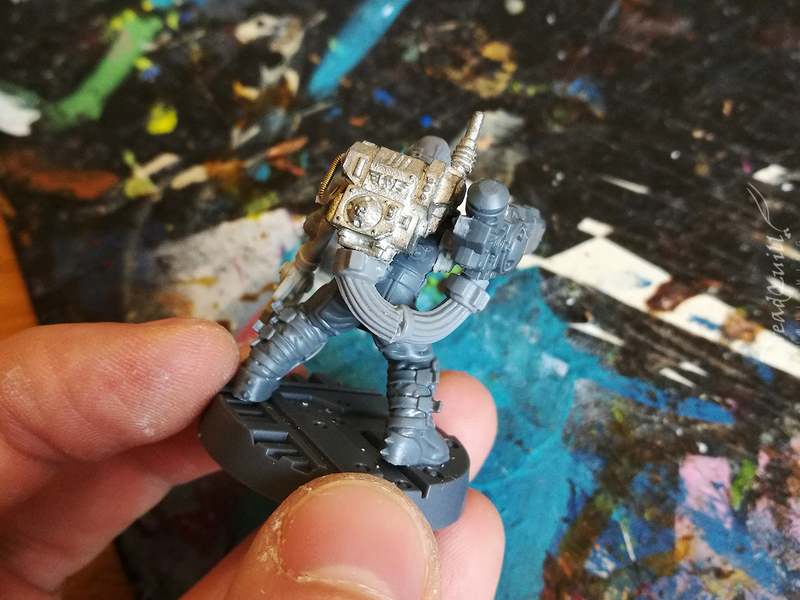 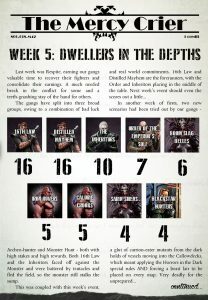 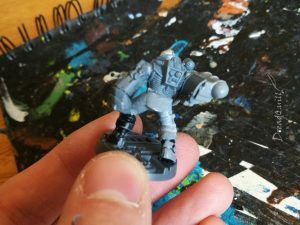 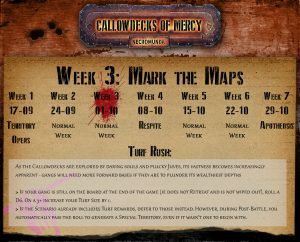 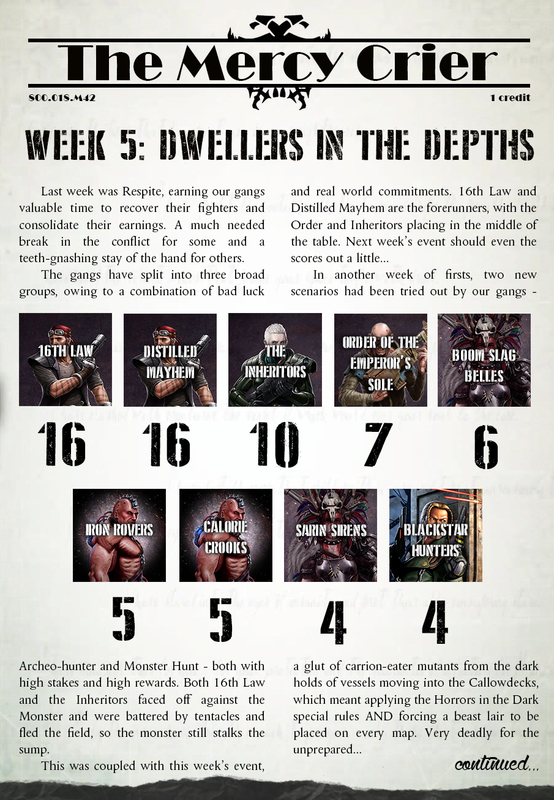 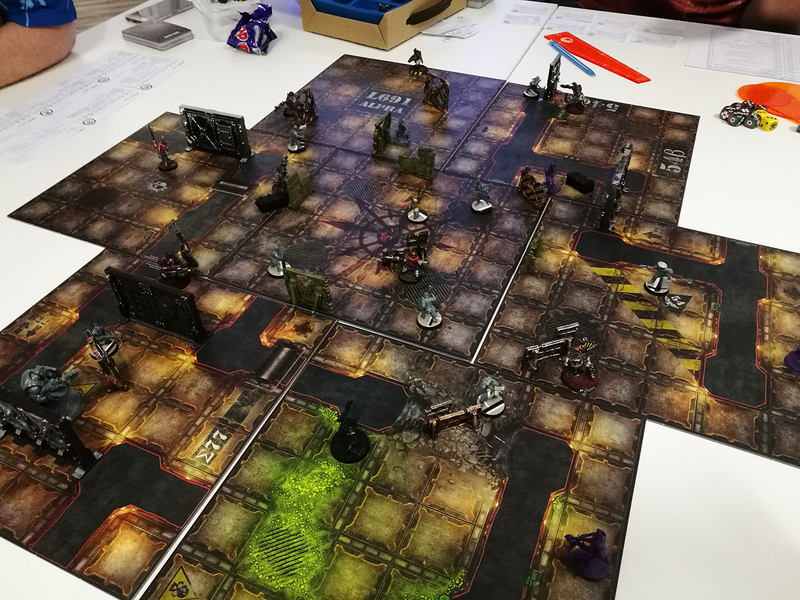 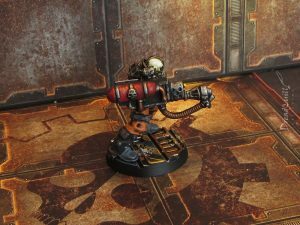 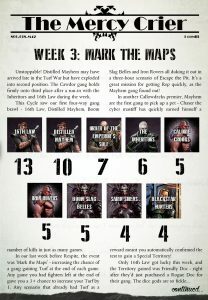 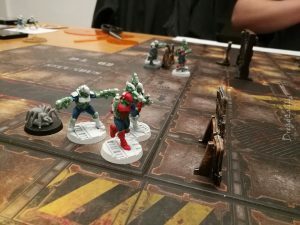 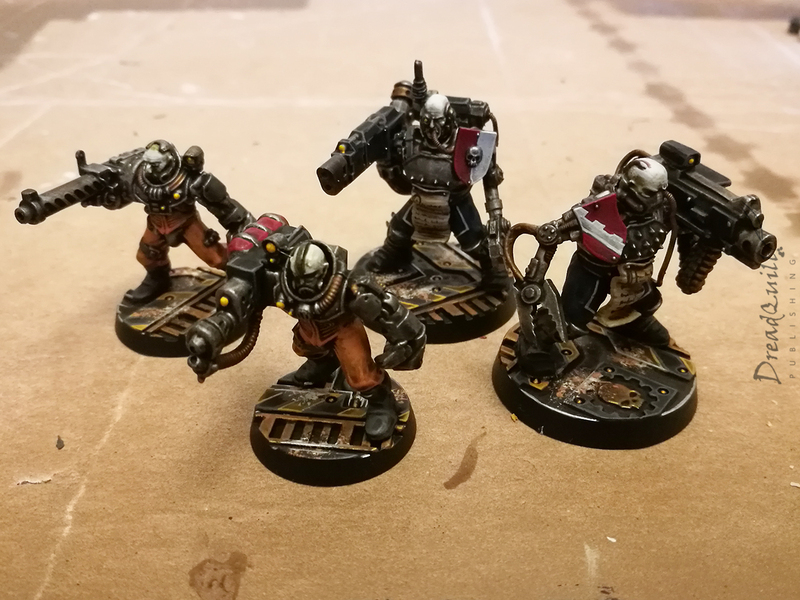 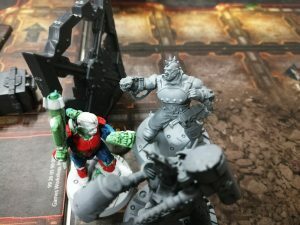 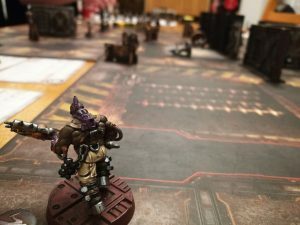 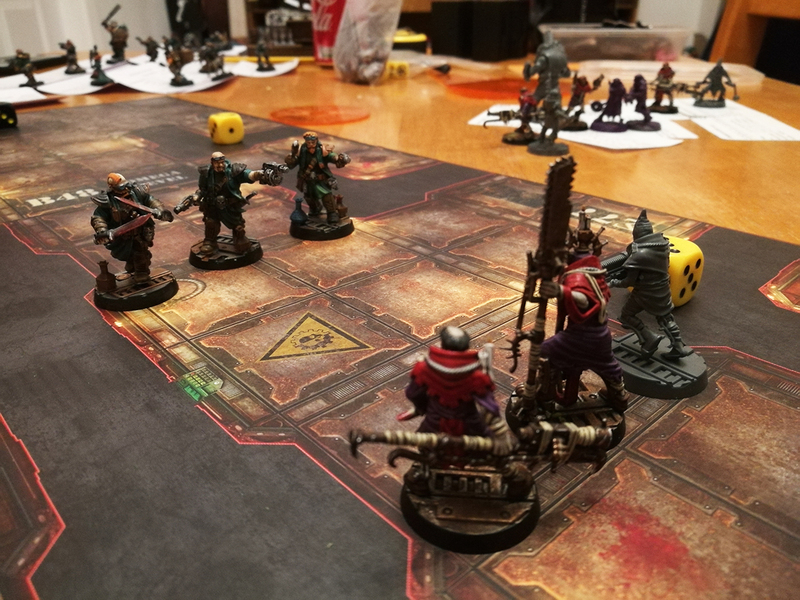 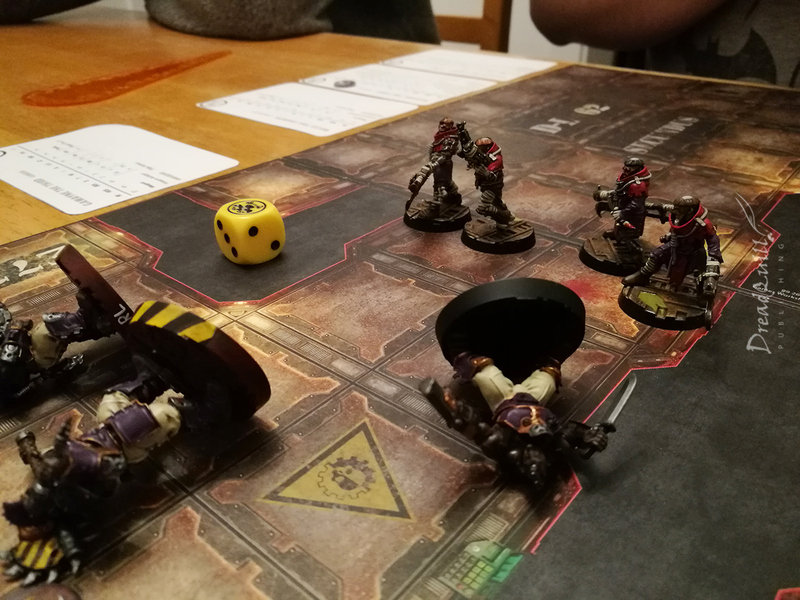 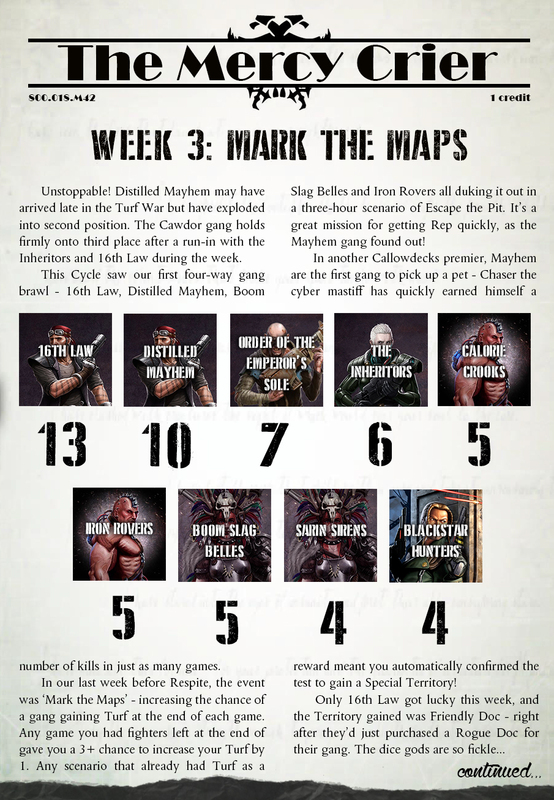 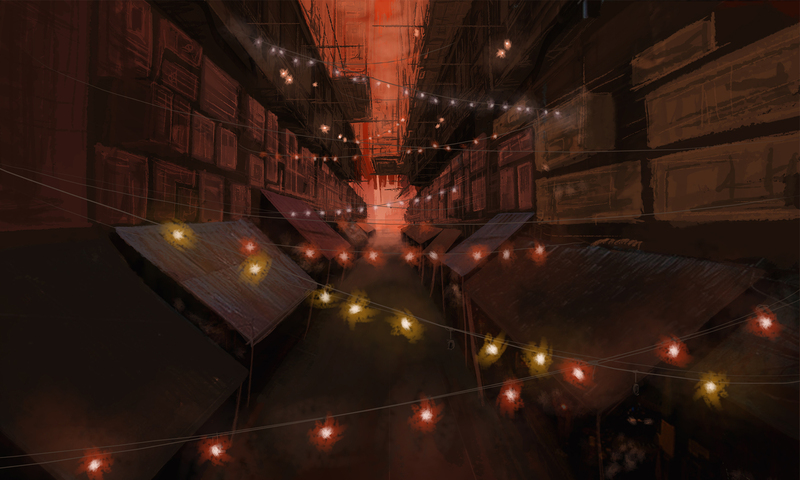 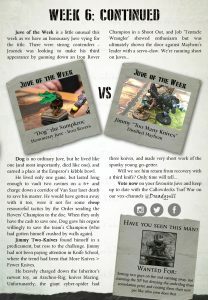 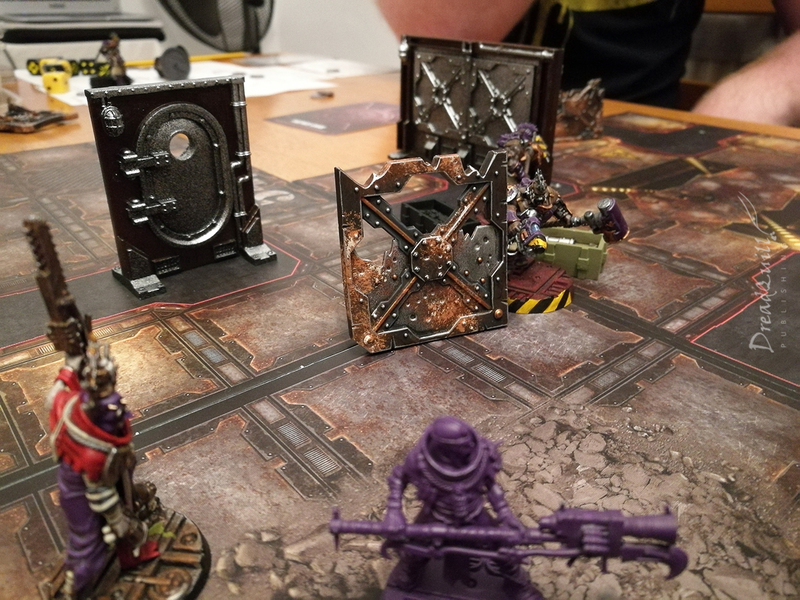 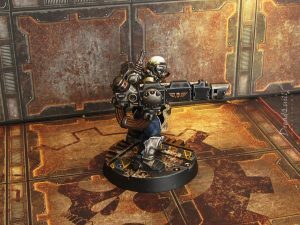 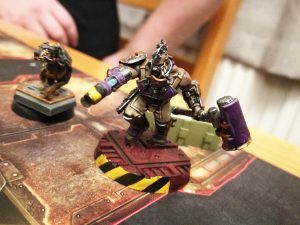 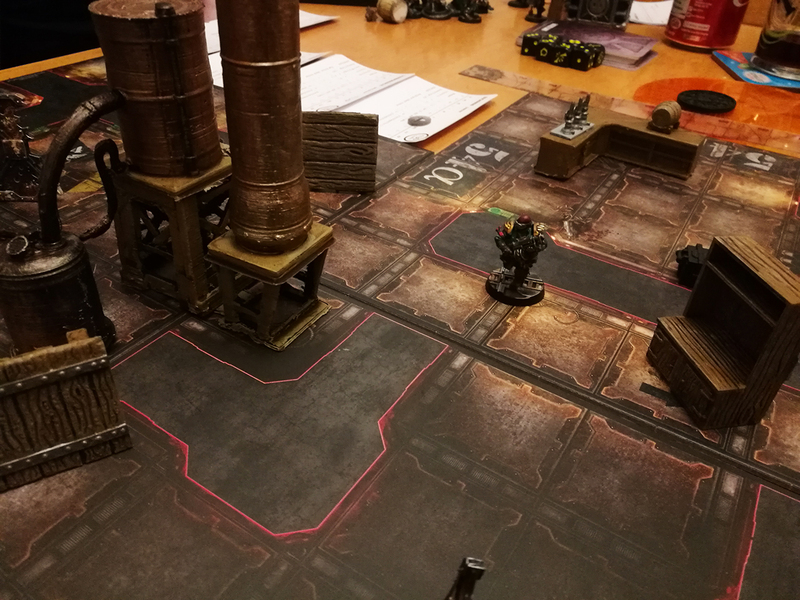 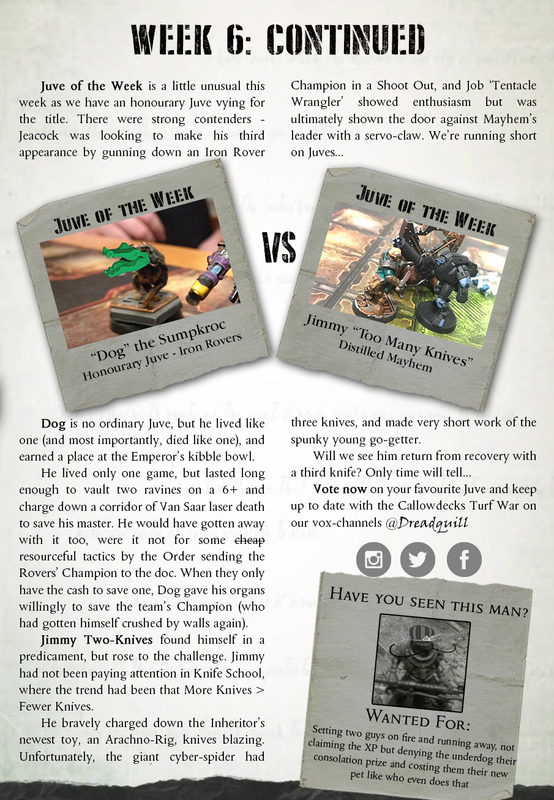 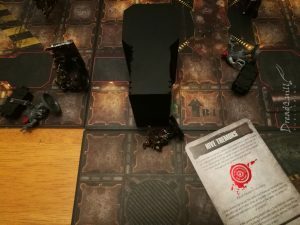 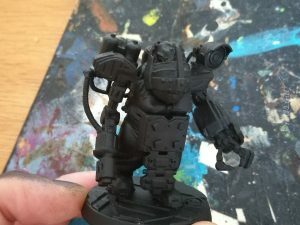 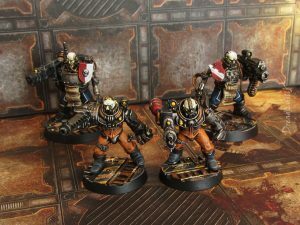 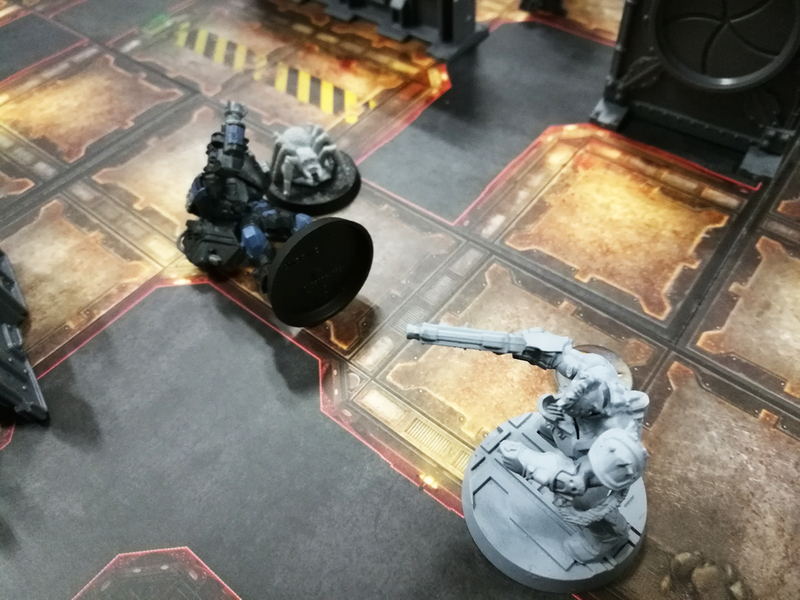 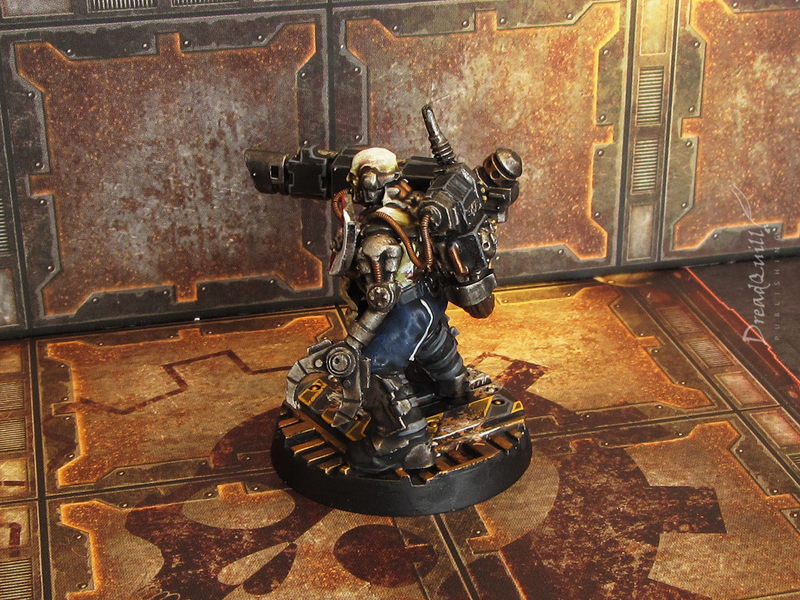 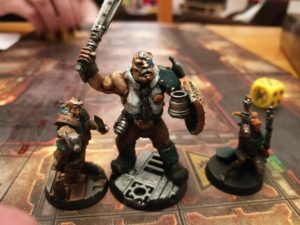 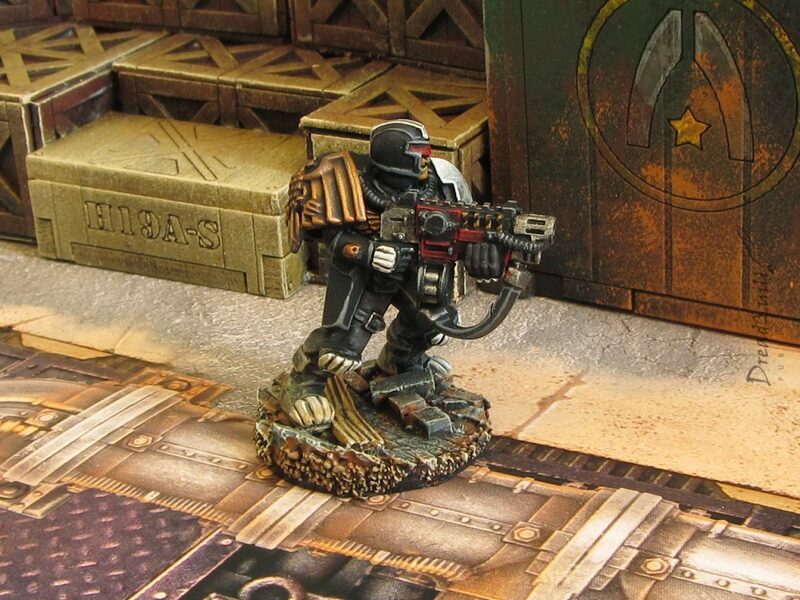 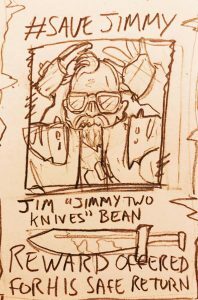 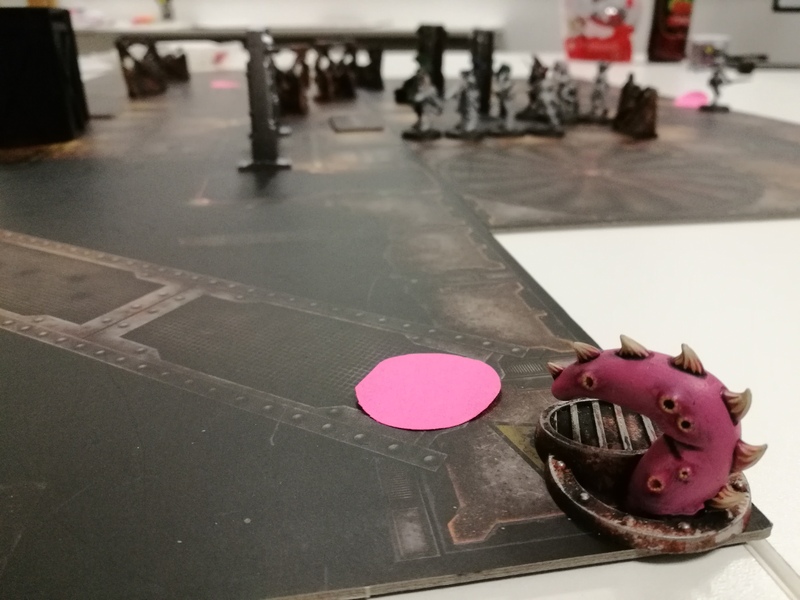 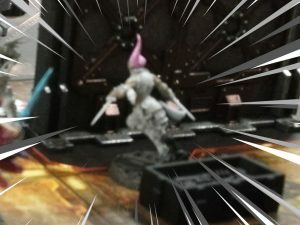 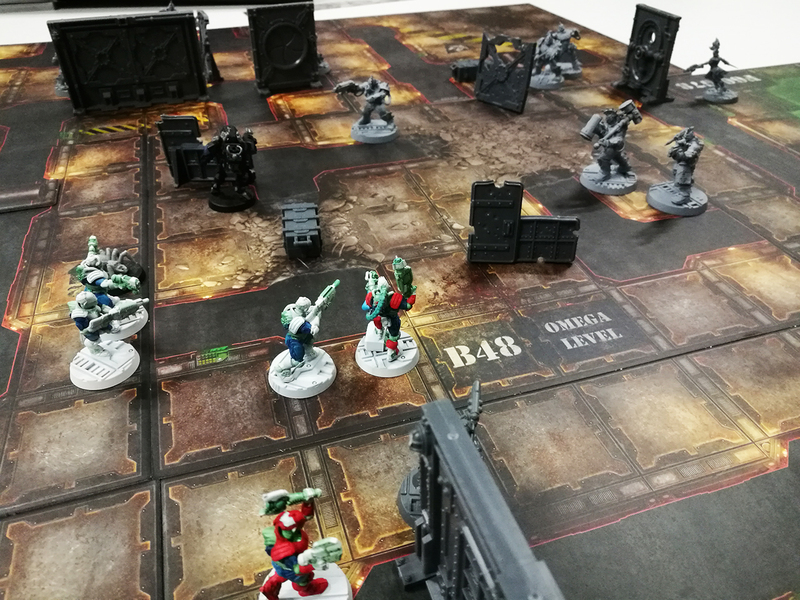 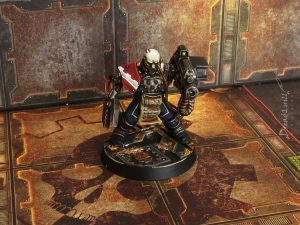 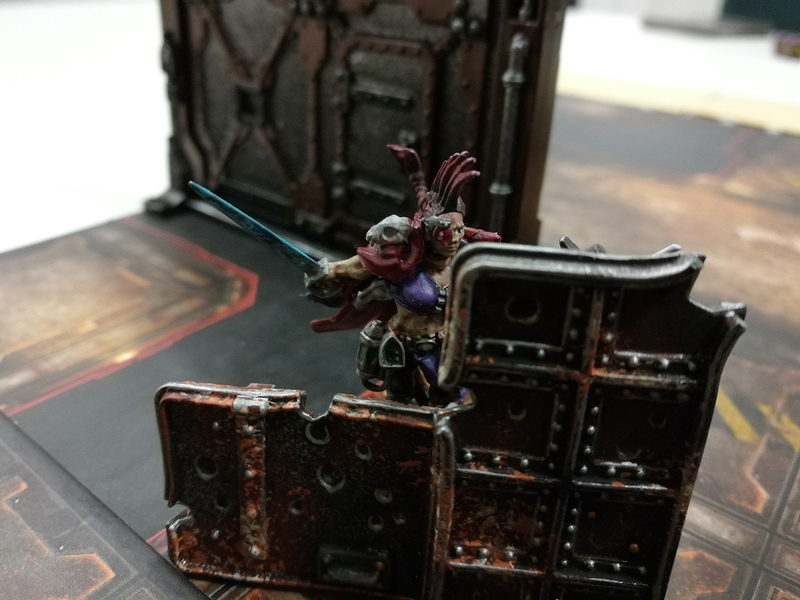 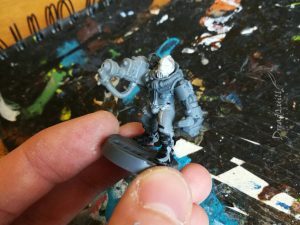 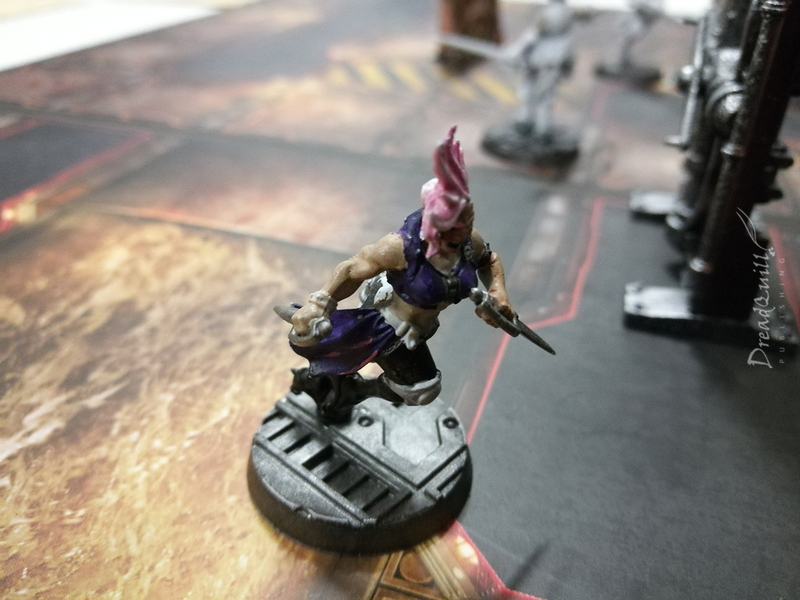 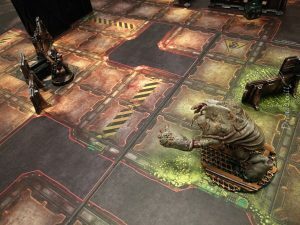 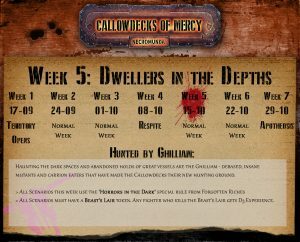 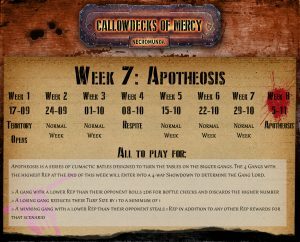 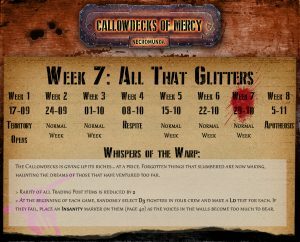 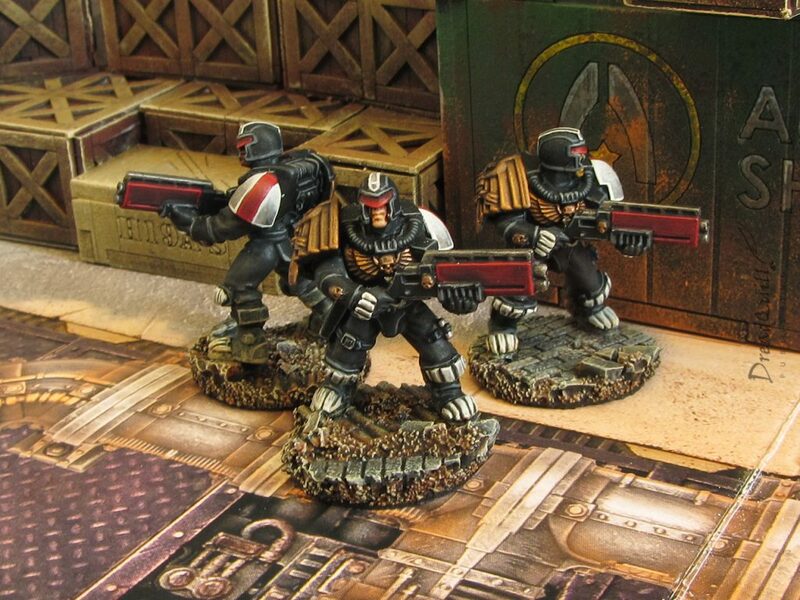 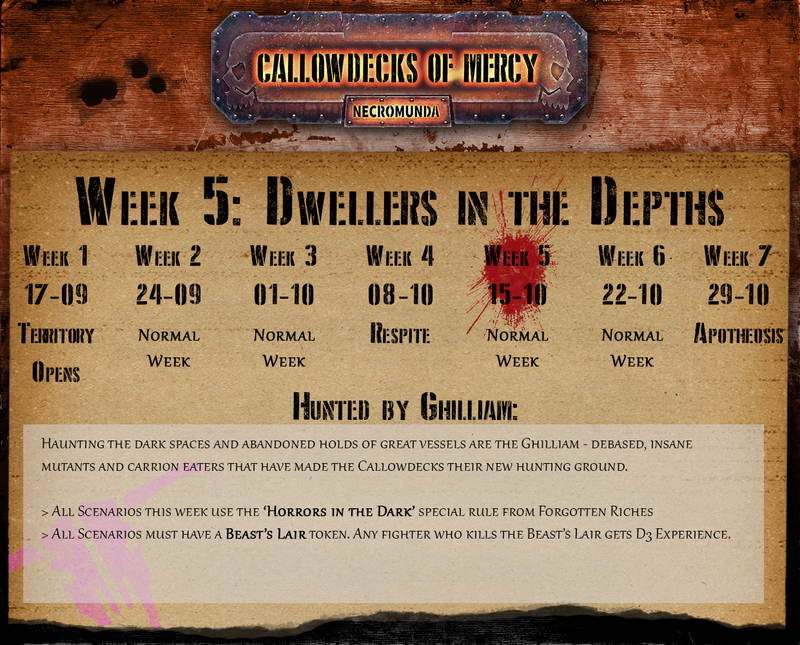 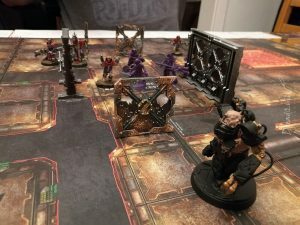 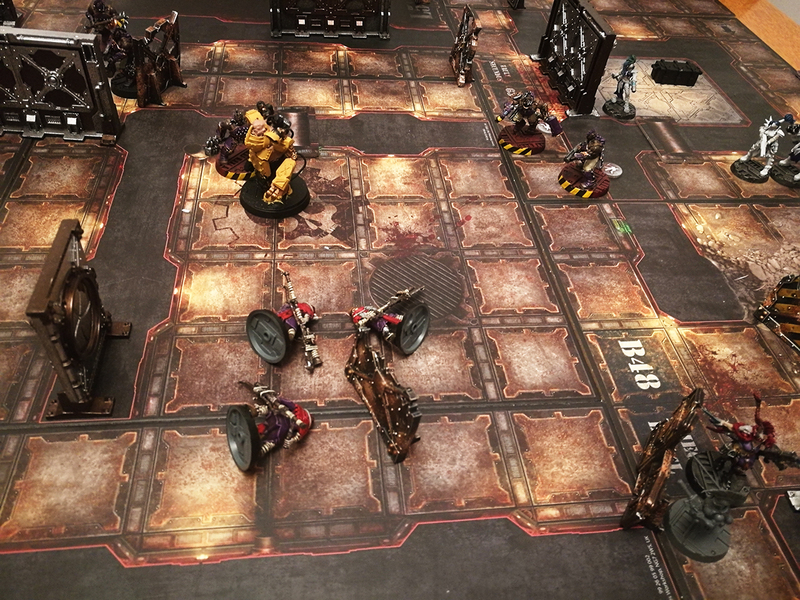 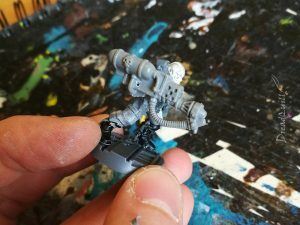 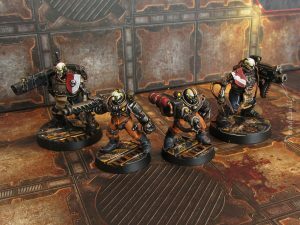 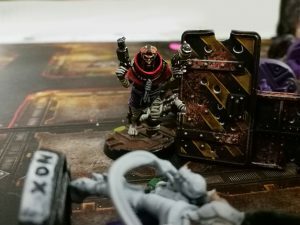 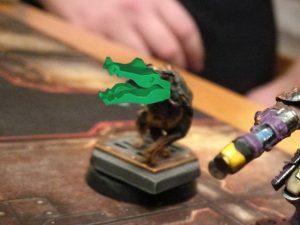 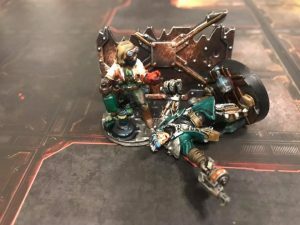 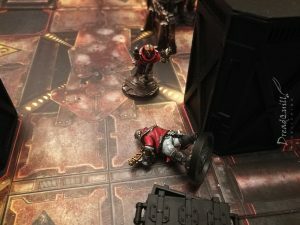 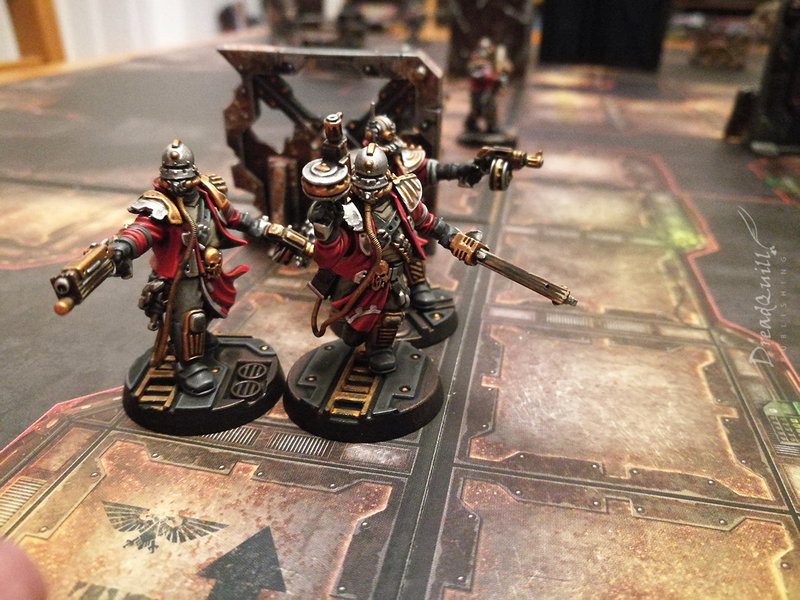 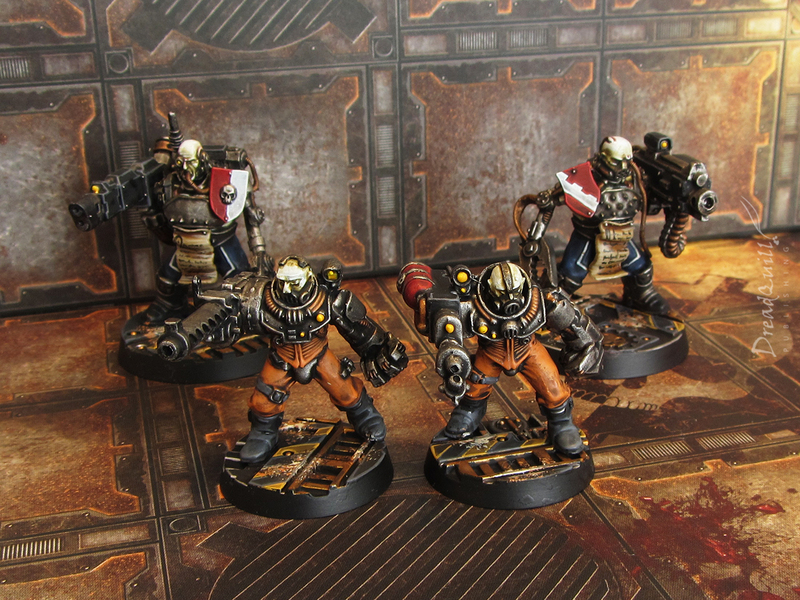 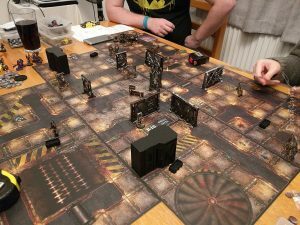 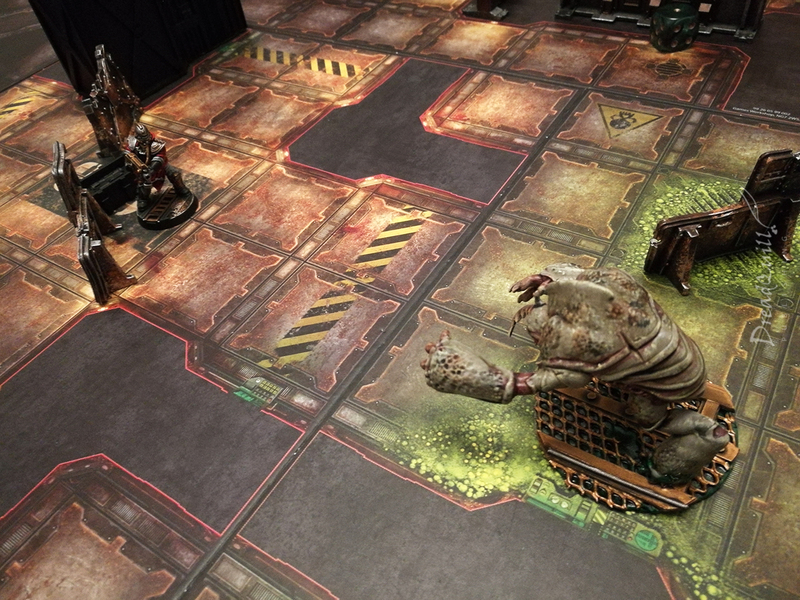 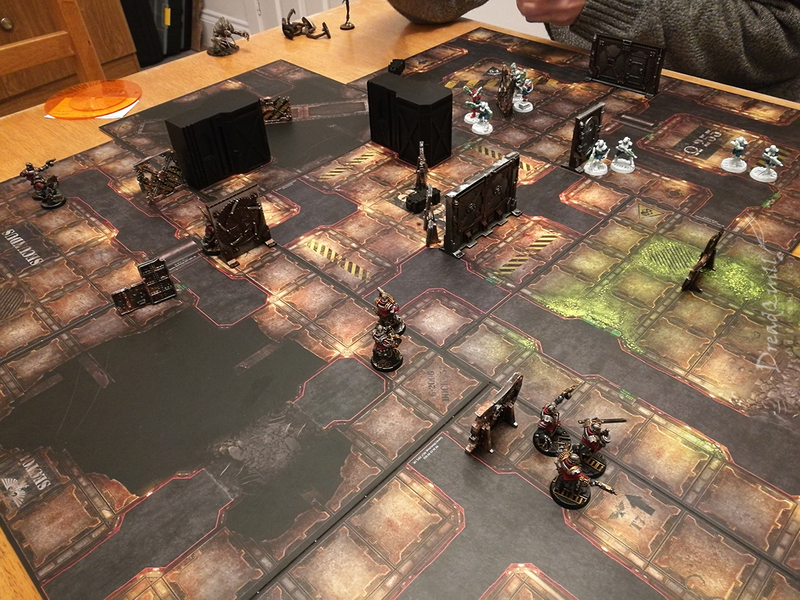 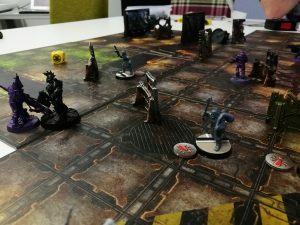 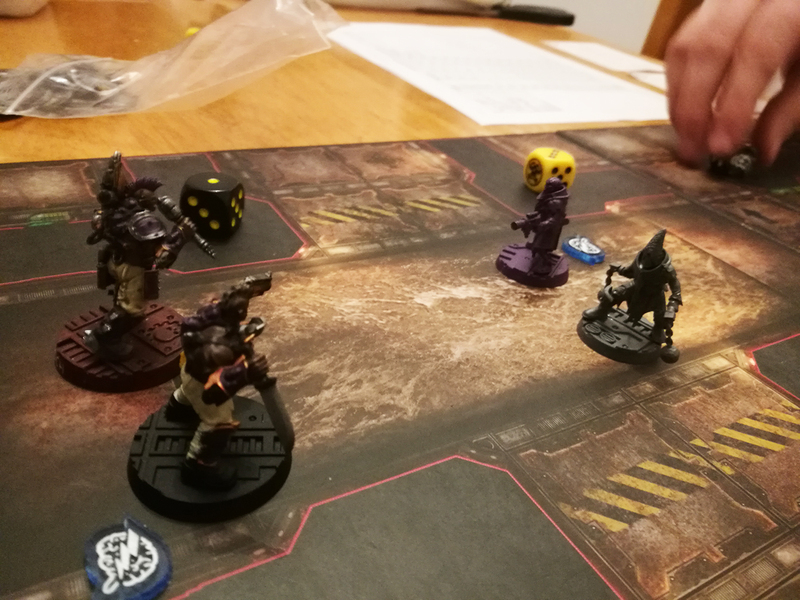 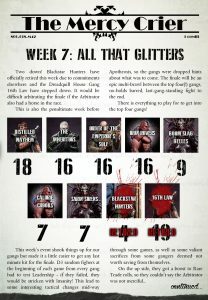 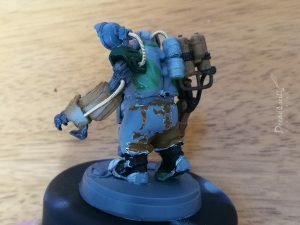 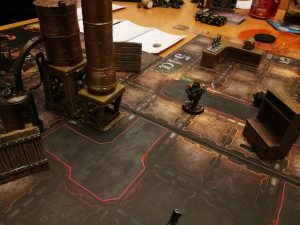 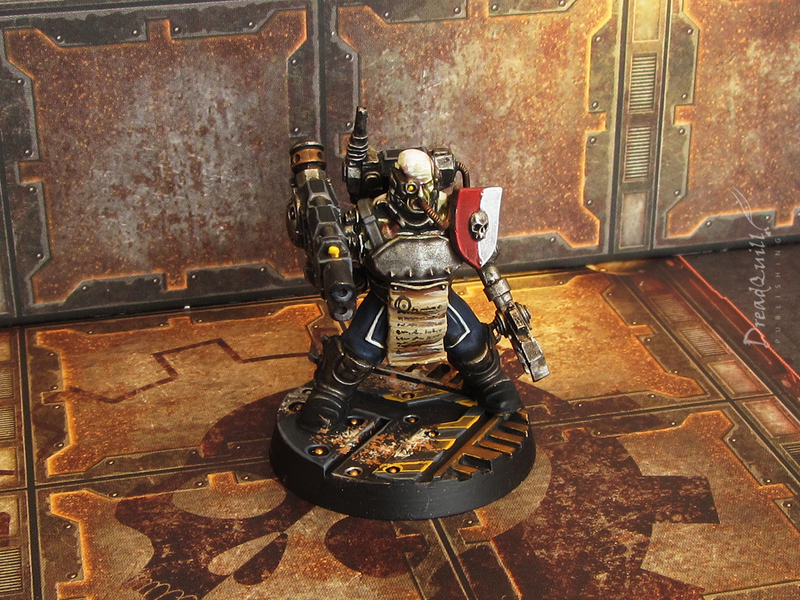 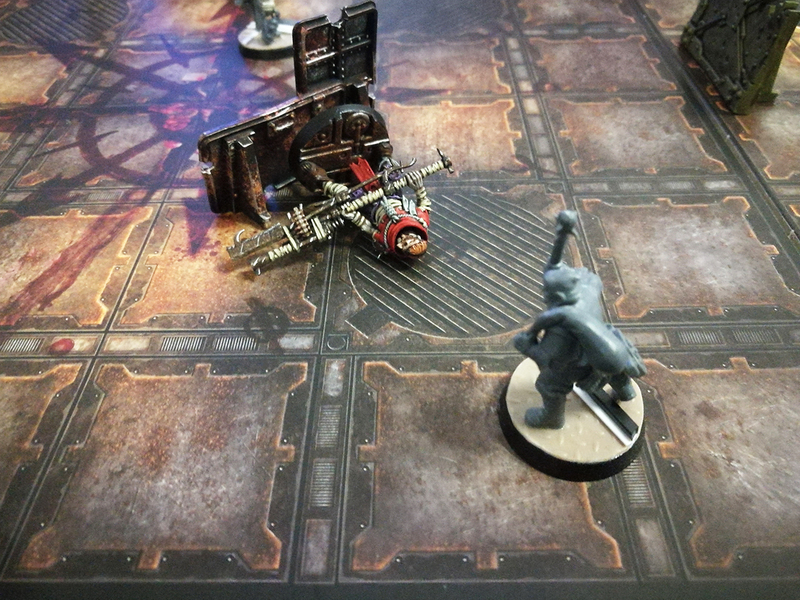 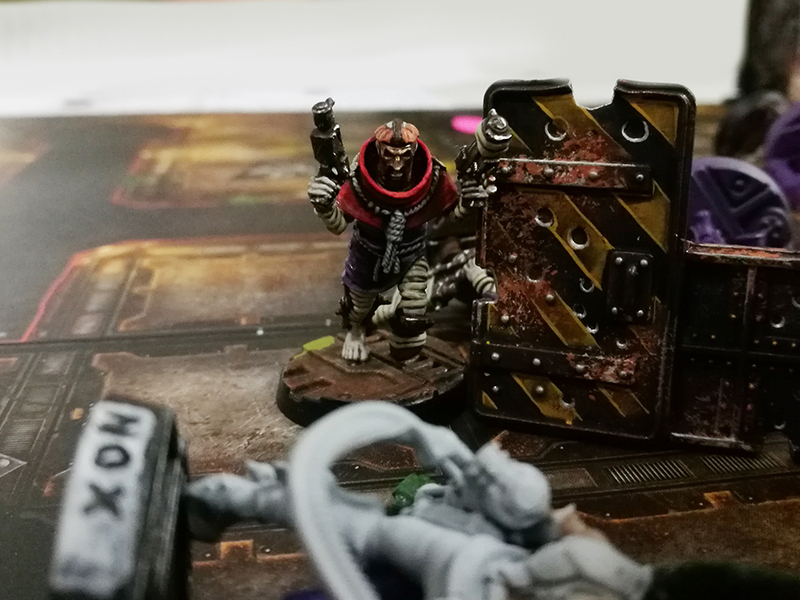 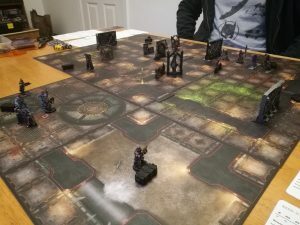 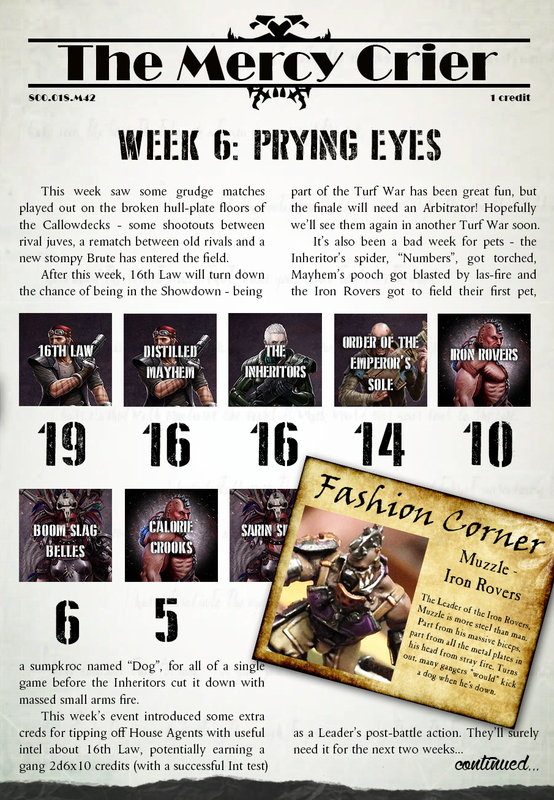 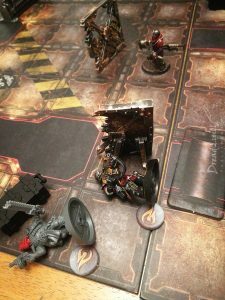 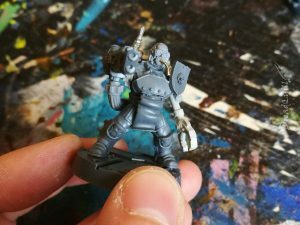 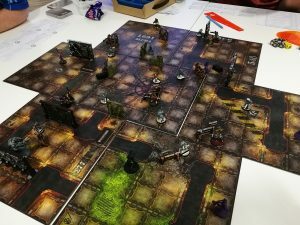 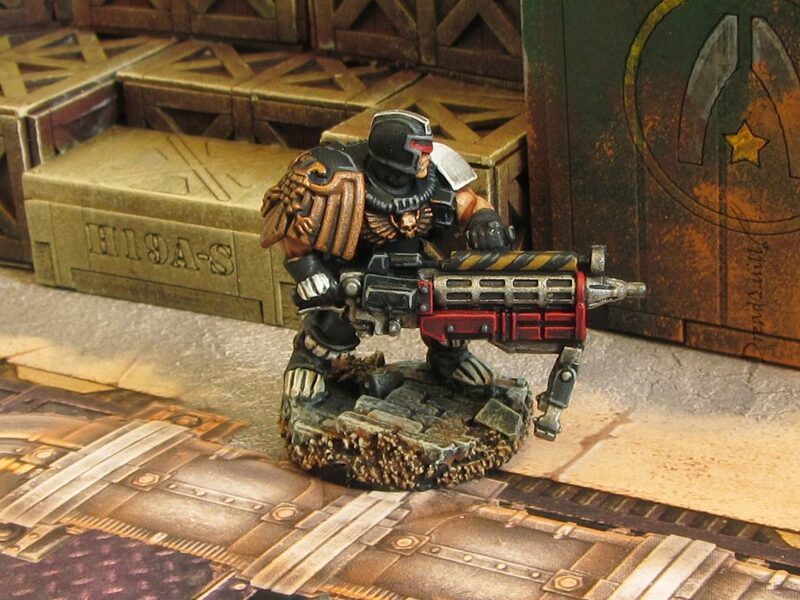 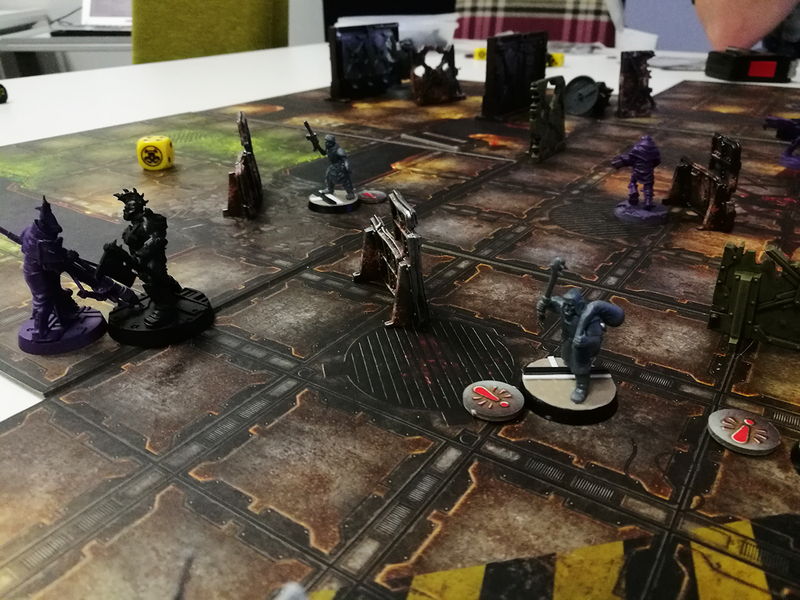 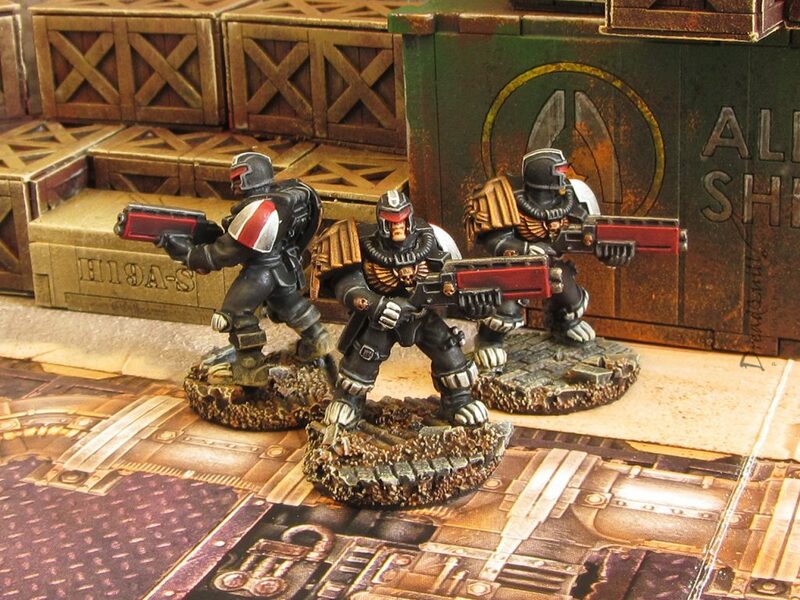 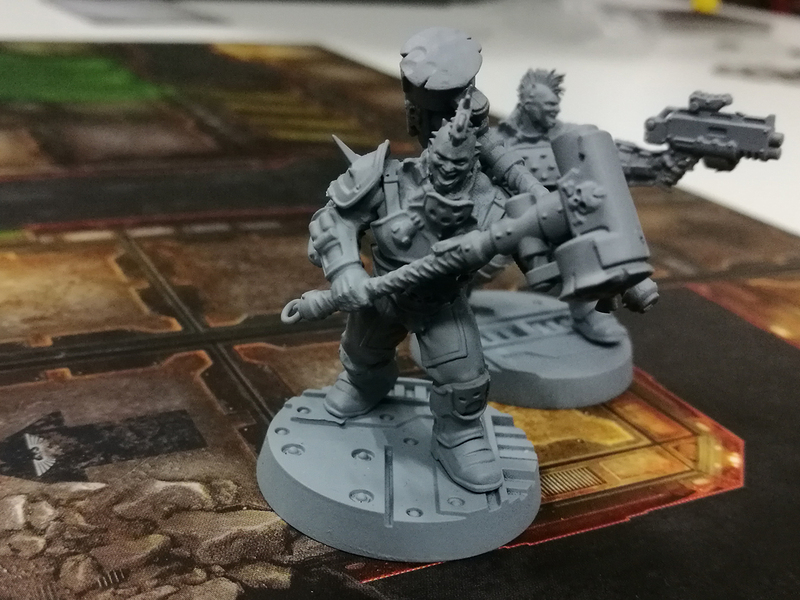 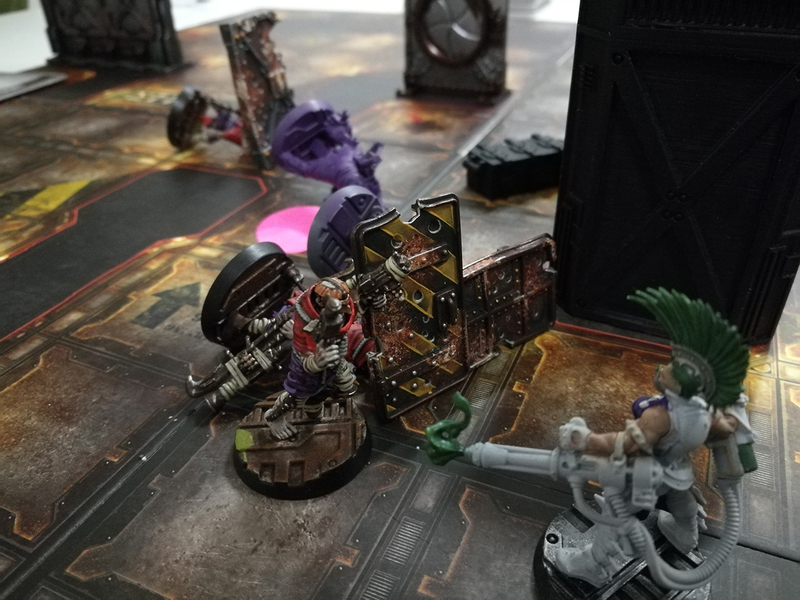 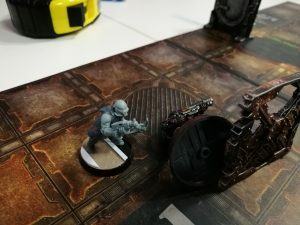 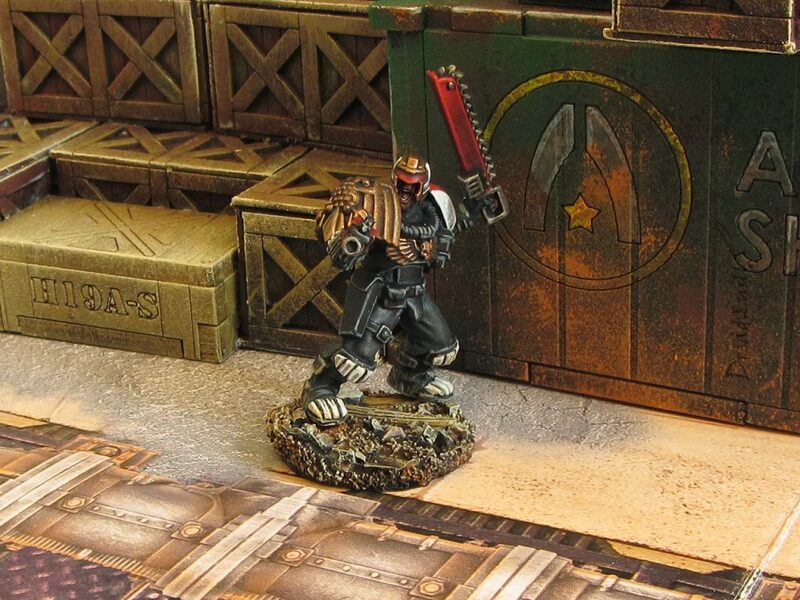 So a new Necromunda campaign has begun in earnest and the Dreadquill blog has been lacking over Christmas, so what better way to get back into the swing of posting than with a glut of Necromunda related goodies? 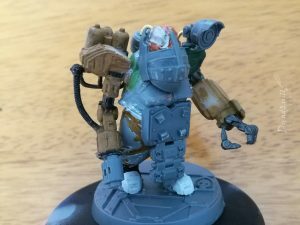 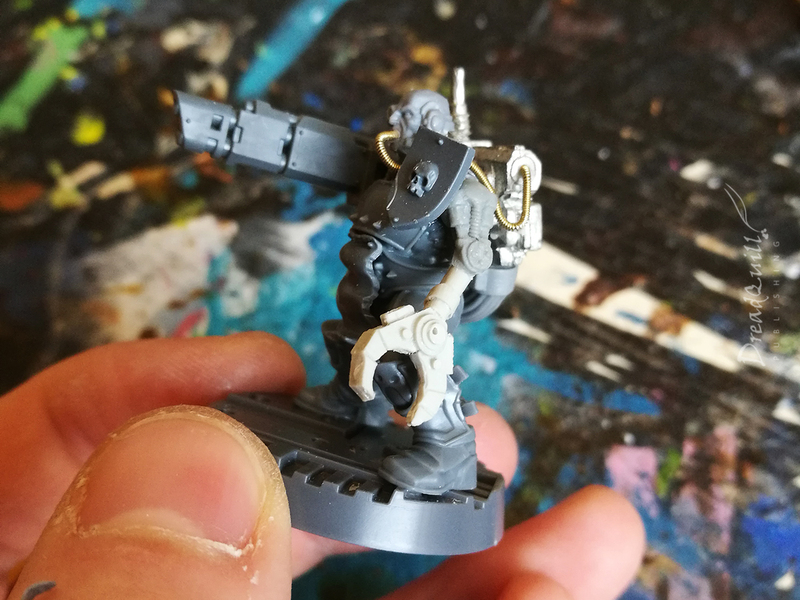 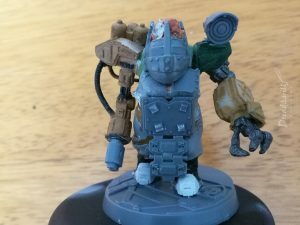 Last year I posted some WIPs of an Ogryn Servitor kitbashed from a bunch of parts I had lying around, and it remained base coated for several months (mostly because I didn’t want to tackle painting yellow. 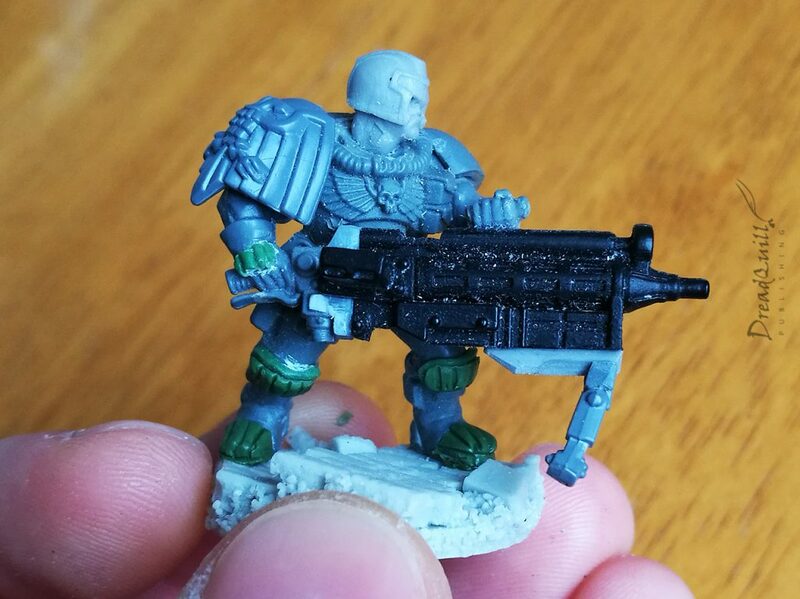 Over Christmas it got the paintjob it deserved. The inspiration is, hopefully, obvious. 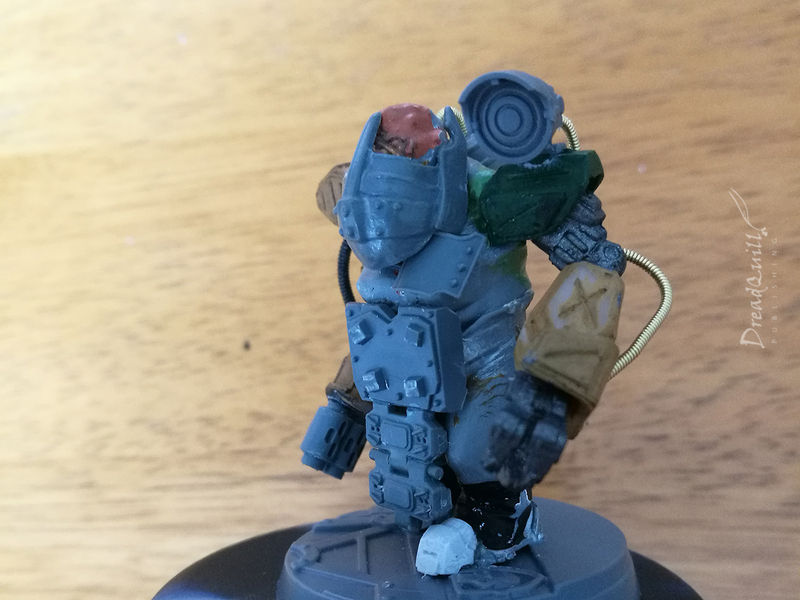 It needed to be High Vis to give it that utilitarian look and offset the weird grimdark parts of it. 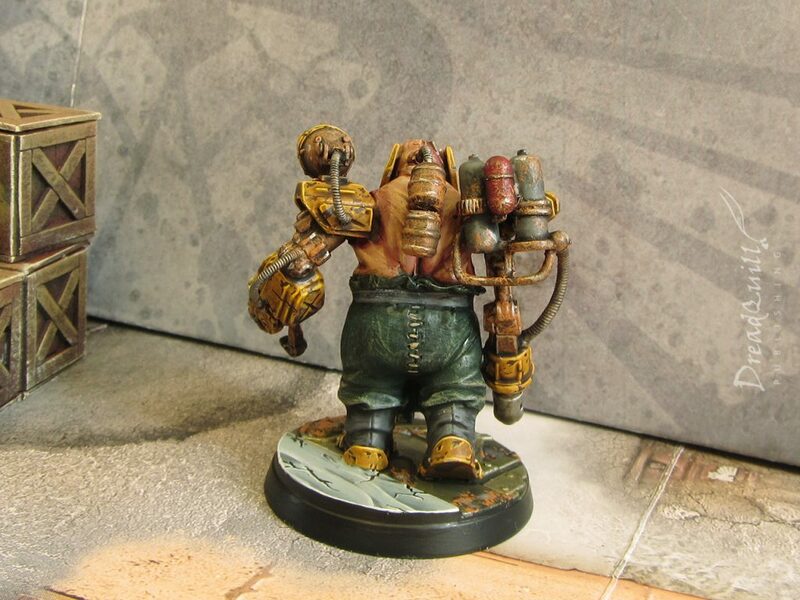 Yes it’s a lobotomised mutant with a flamethrower and crushing claw, but it’s designed for carrying your luggage. 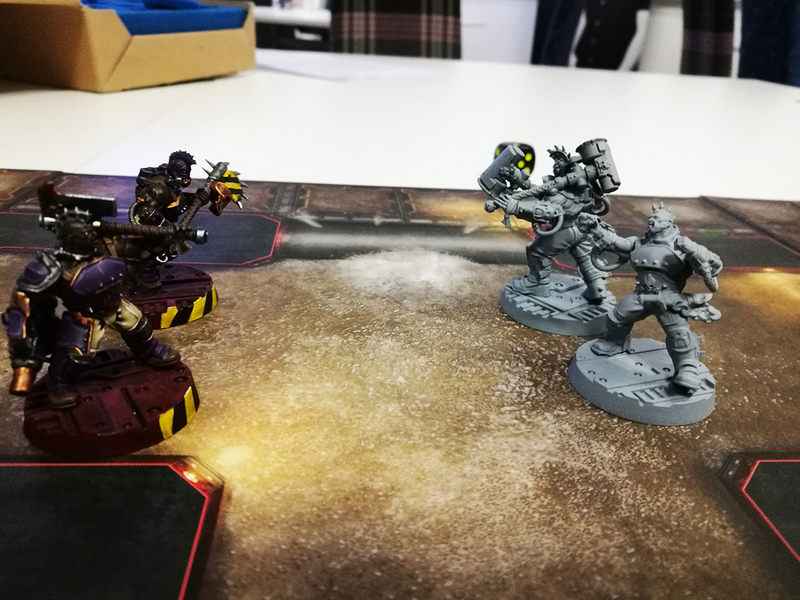 Gratuitous use of hazard stripes was also a must – how else are people going to know it’s dangerous and shouldn’t get too near? 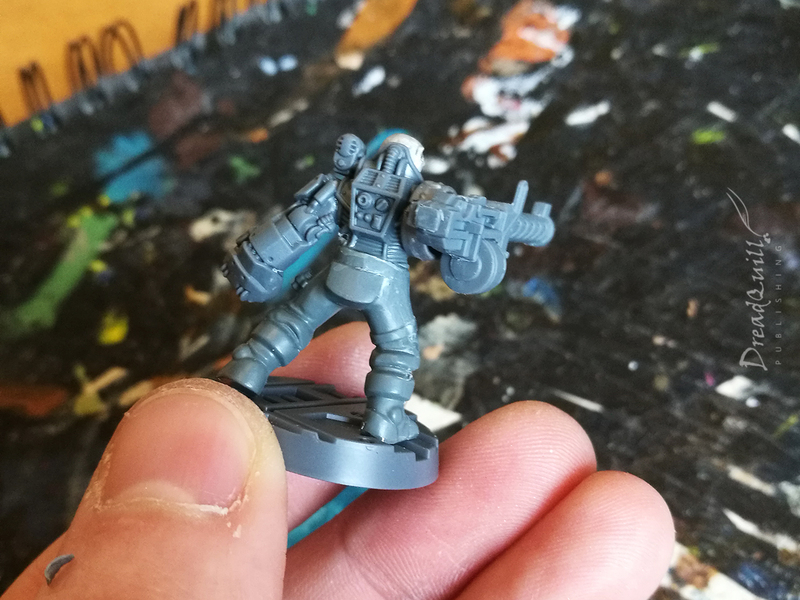 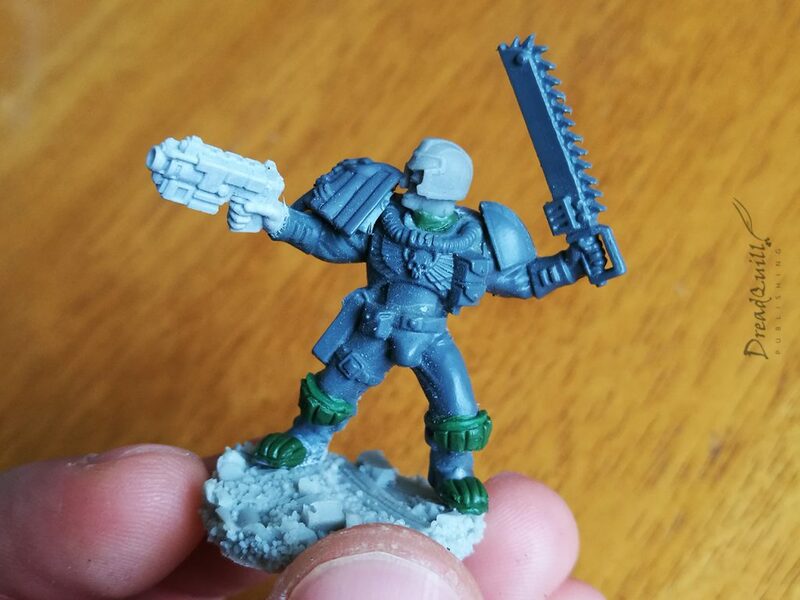 I experimented with a new chipping technique I’d seen on some Primaris marines on instagram. 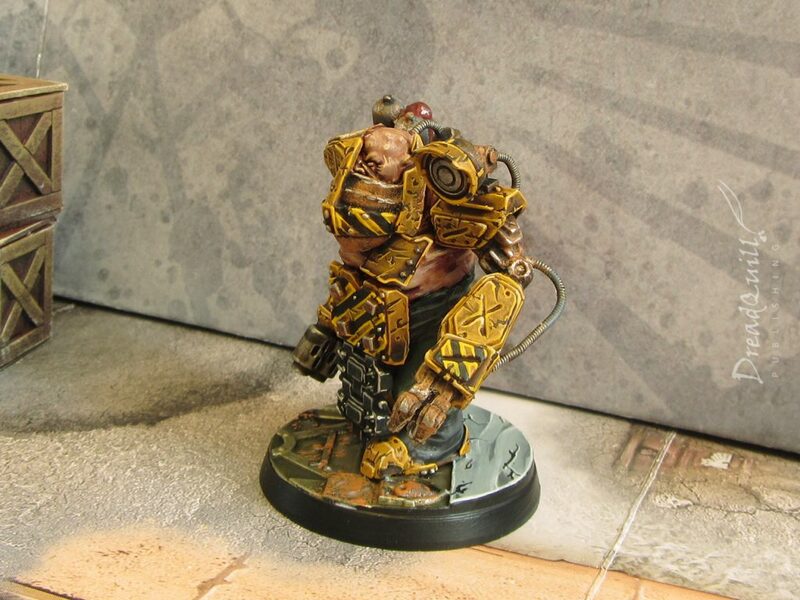 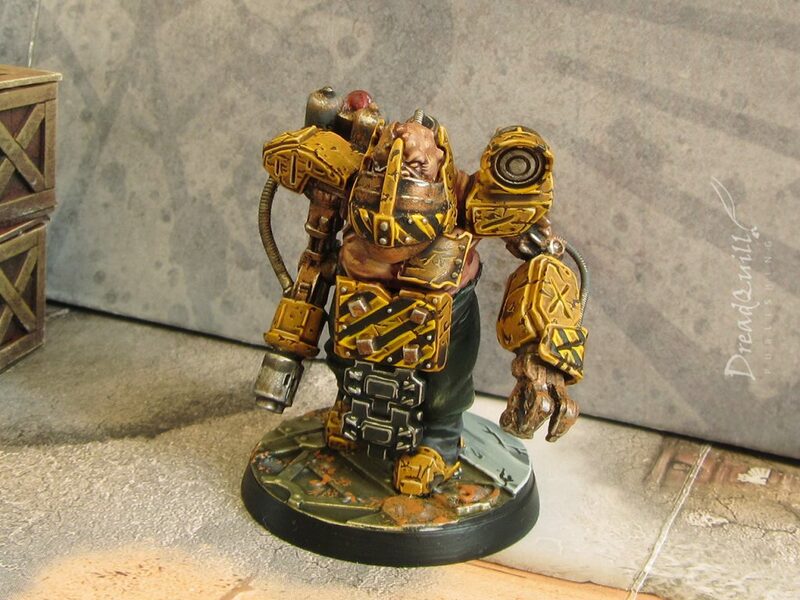 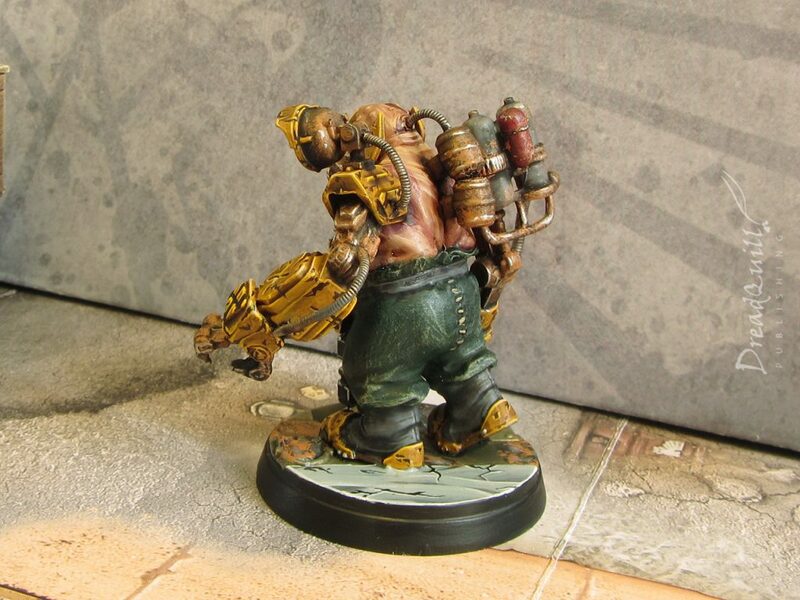 Paint squiggly brown/black lines and highlight the lower part with your edge colour, giving them a sense of depth. A right royal pain in the arse to do, but overall I think it came out quite well. The rest of the model I wasn’t too fussed about, so I experimented with a few other techniques. 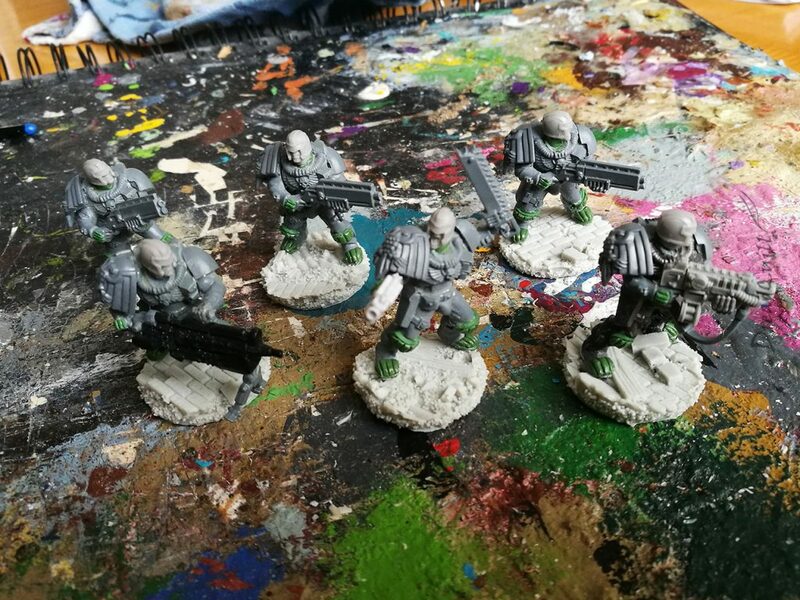 I’ve avoided drybrushing for years, preferring the time-consuming method of wet-blending instead. 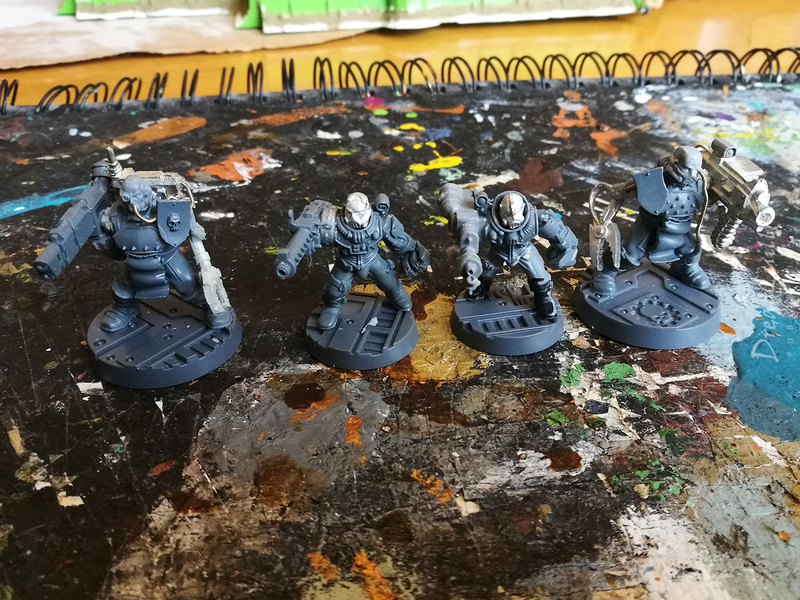 This year I’m trying to push my techniques a bit more (as well as save time), so the old drybrushes have been pulled out of storage. 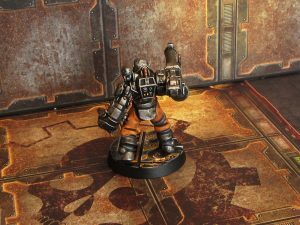 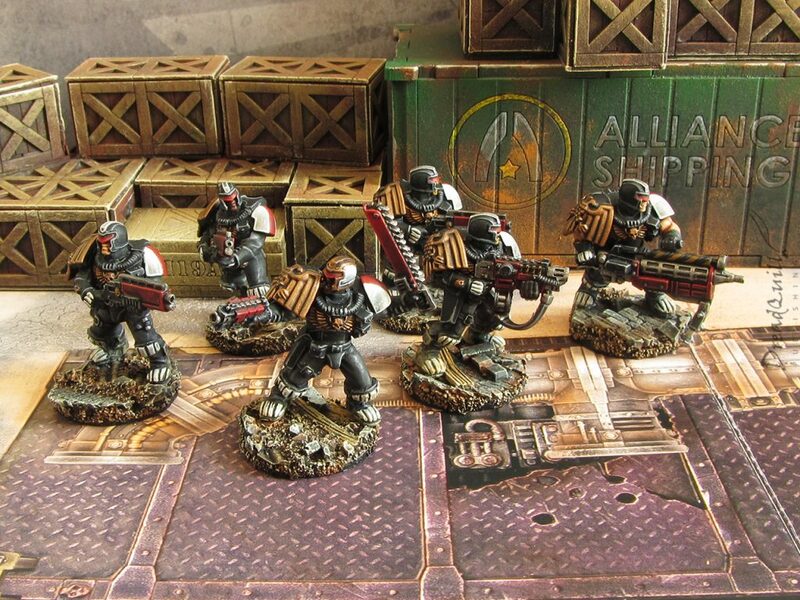 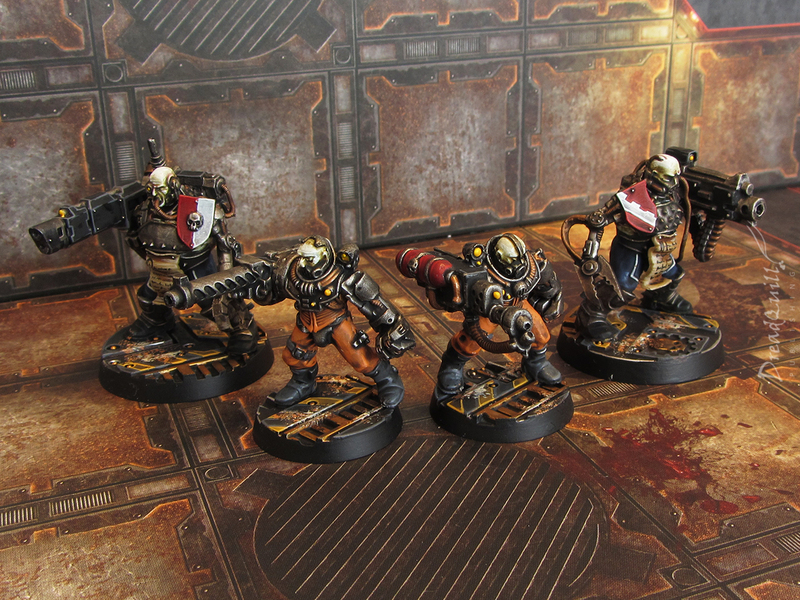 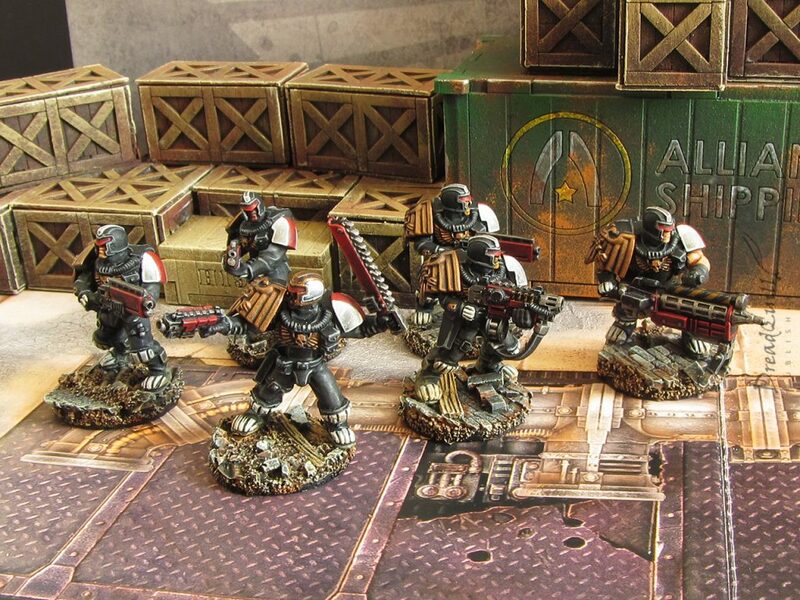 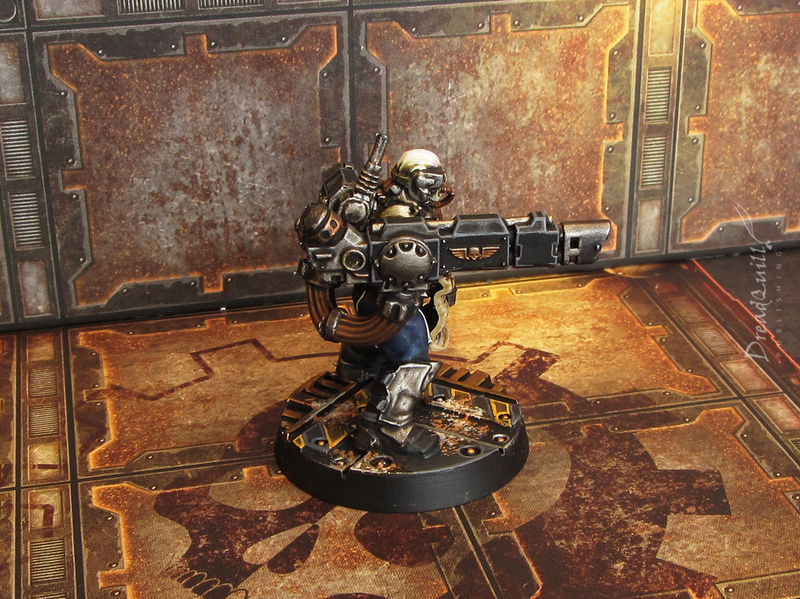 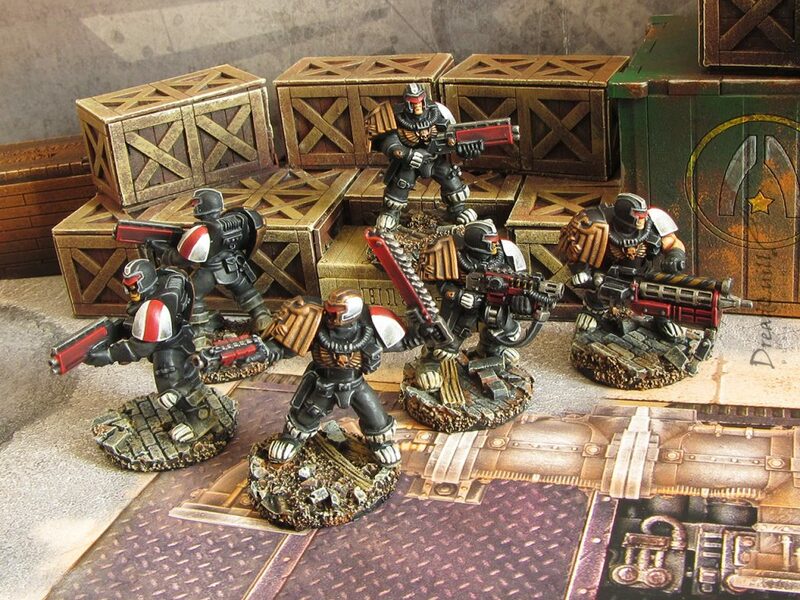 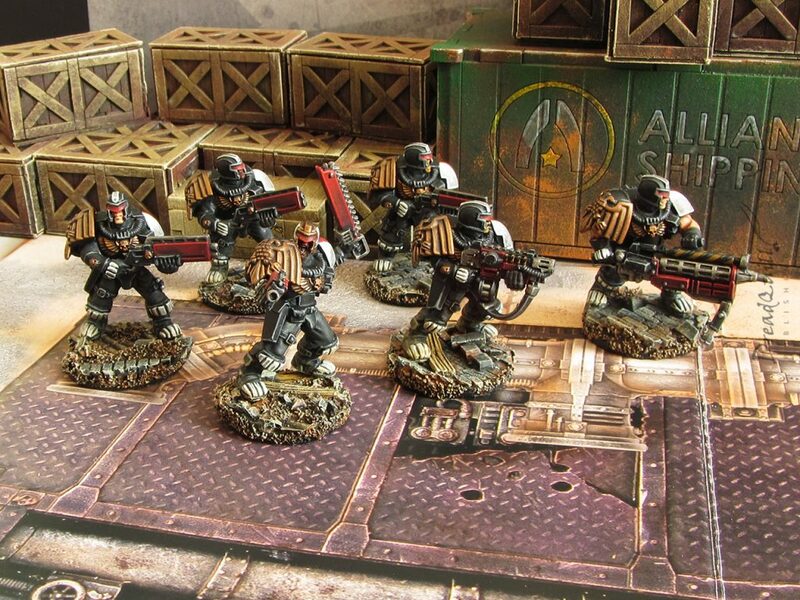 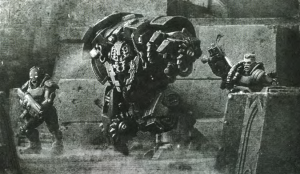 The metal had been painted brown, with copious stippling of orange and strategic washes in the recesses. Orange stippling was used on some of the other metally-but-not-quite-metal parts too to simulate rust, something I experimented on with my original necromunda bases. As this was a mini of new techniques, I couldn’t pass up the opportunity to try my hand at marble for the first time. A recipe I found involved lots of wet blended colours going on first (ranging from dark grey up to nearly white) in swooping patterns, then cracks painted on with black and highlighted up again. 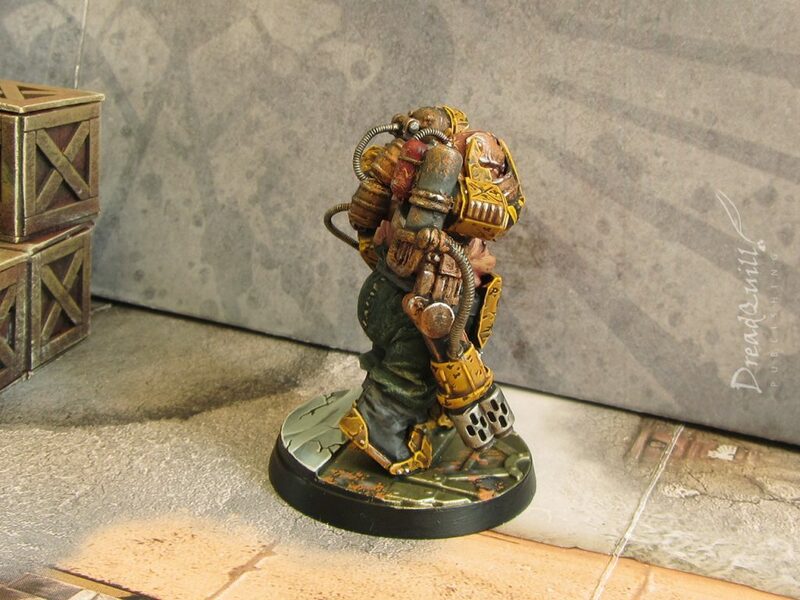 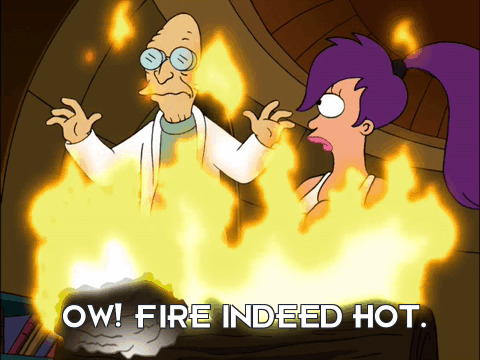 I feel indifferent towards it? 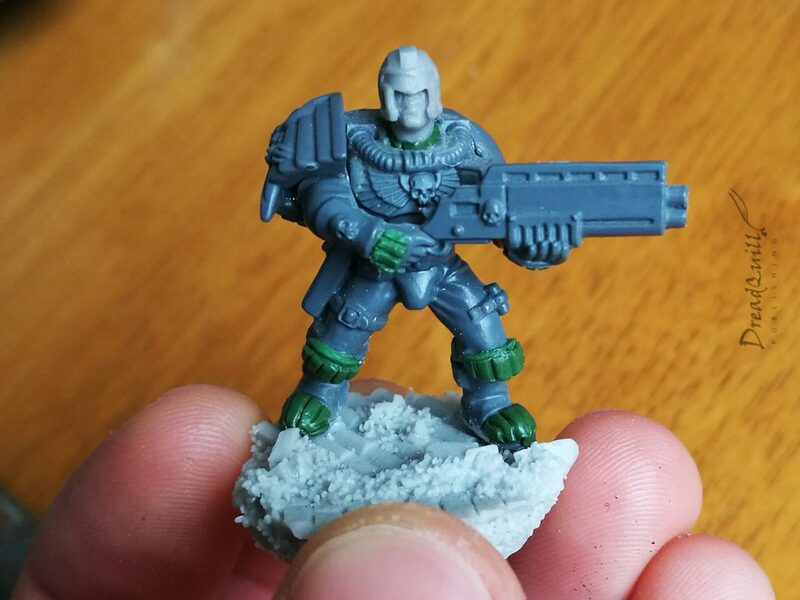 Maybe I’ll try a different marble colour next time – black and green has always been a favourite of mine. 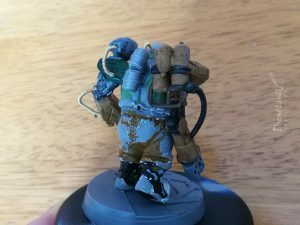 Overall I’m very happy with how it came out. I found myself very uninspired getting him started off, but once the yellow went on the rest just fell into place. 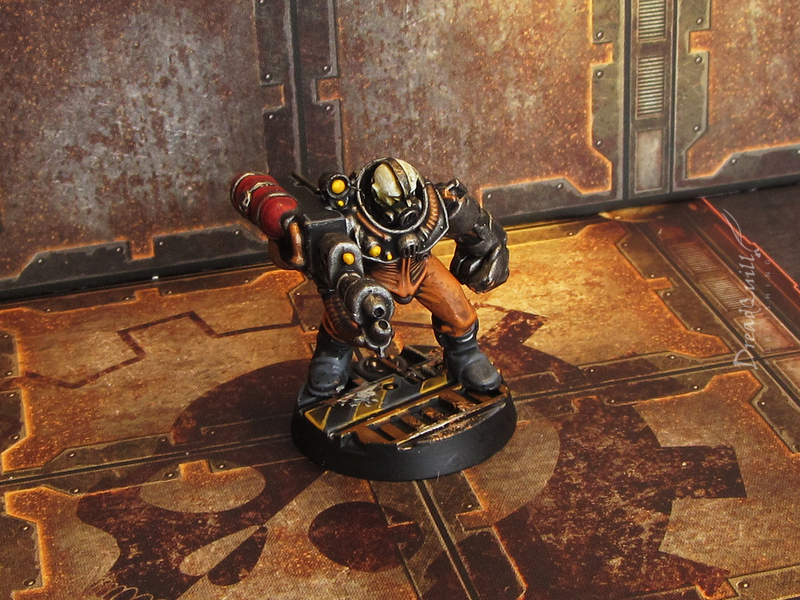 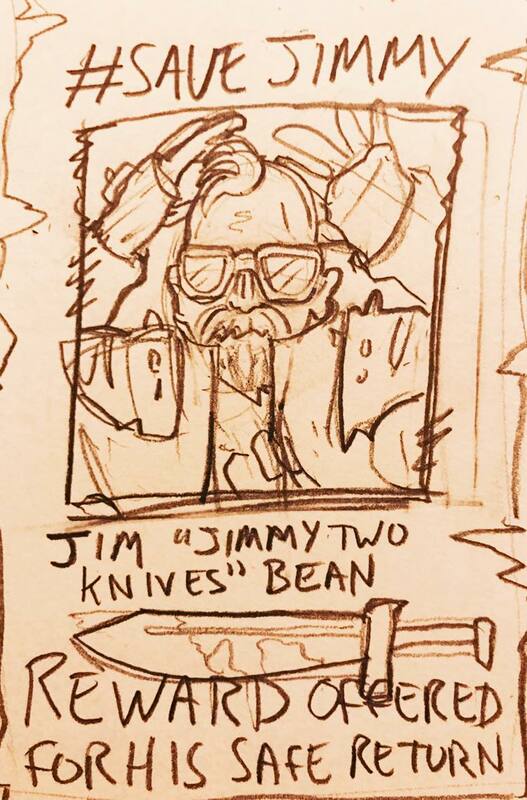 Watch out for him opening an archeotech vault near you!